New research suggests that a single gene may be responsible for the large number of neurons found uniquely in the human brain. When this gene was inserted in the brain of a mouse embryo (shown here), it induced the formation of many more neurons (stained red). The extra neurons led to the formation of characteristic convolutions that the human brain uses to pack so much brain tissue into a small space (convolutions shown on the right). A single gene may have paved the way for the rise of human intelligence by dramatically increasing the number of brain cells found in a key brain region. This gene seems to be uniquely human: It is found in modern-day humans, Neanderthals and another branch of extinct humans called Denisovans, but not in chimpanzees. By allowing the brain region called the neocortex to contain many more neurons, the tiny snippet of DNA may have laid the foundation for the human brain‘s massive expansion. “It is so cool that one tiny gene alone may suffice to affect the phenotype of the stem cells, which contributed the most to the expansion of the neocortex,” said study lead author Marta Florio, a doctoral candidate in molecular and cellular biology and genetics at the Max Planck Institute of Molecular Cell Biology and Genetics in Dresden, Germany. Still, it’s likely this gene is just one of many genetic changes that make human cognition special, Florio said. The evolution from primitive apes to humans with complex language and culture has taken millions of years. Some 3.8 million ago, Australopithecus afarensis, the species typified by the iconic early human ancestor fossil Lucy, had a brain that was less than 30 cubic inches (500 cubic centimeters) in volume, or about a third the size of the modern human brain. By about 1.8 million years ago, Homo erectus was equipped with a brain that was roughly twice as big as that of Australopithecus. H. erectus also showed evidence of tool and fire use and more complex social groups. Once anatomically modern humans, and their lost cousins the Neanderthals and Denisovans, arrived on the scene, the brain had expanded to roughly 85 cubic inches (1.4 liters) in volume. Most of this growth occurred in a brain region called the neocortex. “The neocortex is so interesting because that’s the seat of cognitive abilities, which, in a way, make us human — like language and logical thinking,” Florio told Live Science. The neocortex is so large because it is jam-packed with neurons, or brain cells. But what genetic changes ushered in this explosion of neurons? To understand that question, Florio, along with her thesis advisor, Dr. Wieland Huttner, a neurobiologist also at the Max Planck Institute, were studying one type of neural progenitor cell, a stem cell that divides and then forms brain cells during embryonic development. In mice, these cells divide once, and then make neurons. But in humans, these same types of cells divide many times over before forming a huge number of neurons. The researchers found that a particular gene, called ARHGAP11B, was turned on and highly activated in the human neural progenitor cells, but wasn’t present at all in mouse cells. This tiny snippet of DNA, just 804 letters, or bases, long, was once part of a much longer gene, but somehow this fragment was duplicated and the duplicated fragment was inserted into the human genome. Then the team inserted and expressed (turned on) this DNA snippet in the brains of mice. Though mice normally have a tiny, smooth neocortex, the mice with the gene insertion grew what looked like larger neocortices; these amped-up brain regions contained loads of neurons and some even began forming the characteristic folds, or convolutions, found in the human brain, a geometry that packs a lot of dense brain tissue into a small amount of space. (The researchers did not check to see if the mice actually got smarter, though that is a potential avenue of future research, Florio said). Building on past work by Evan Eichler and colleagues at the University of Washington, the team also looked at the genomes of several other species, and confirmed that Neanderthals and Denisovans had this gene, but chimpanzees and mice do not. That suggests the gene emerged soon after humans split off from chimpanzees, and that it paved the way for the rapid expansion of the human brain. Still, this genetic change is unlikely to fully explain human smarts, Huttner said. Both humans and Neanderthals had large brains, but humans’ unique intelligence may have more to do with how brain cells form and prune neural networks over time, he said. Though the gene creates many more neurons to work with, “how those neurons wire up to allow us to fly to the moon, but not the Neanderthal, that is more likely to be a function of genes expressed in neurons,” as opposed to genes expressed in progenitor cells, Huttner told Live Science. The gene was described Feb. 26 in the journal Science. 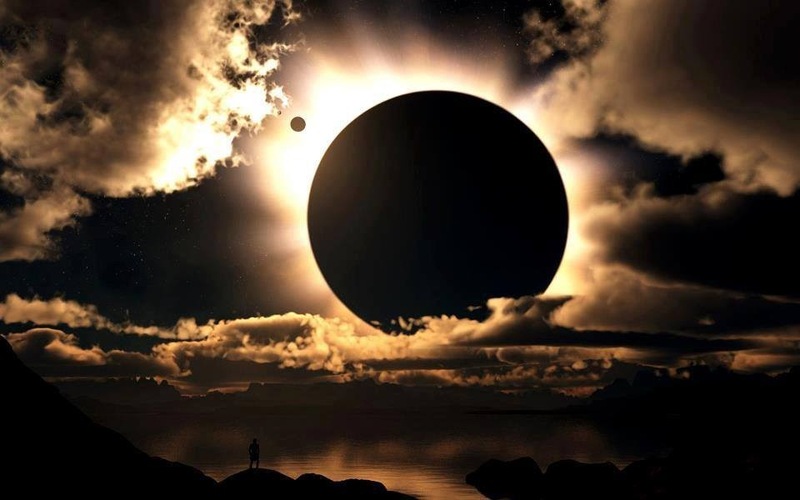 Uchur dunyasining tereqqiyatigha egiship intérnét tor dunyasi mewhum bolushigha qarimastin hayatning bir parchisi halgha aylinip ketti. Dunyadiki yéngi uchur we melumatlarni emdi alqinimizdiki téléfun we yaki kompiyutér bilen shu haman bileleymiz. Emma kishilerning kompiyutér, téléfun we aypéd dégen’ge oxshash téxnika jihazlarni ishlitish jeriyanida özlirige alaqidar uchur melumatlar saqlinidu. Bu melumatlarning mexpiyetliki beziliri kishilerning xususiy ishlirigha munasiwetlik bolsa beziliri teshkilat yaki muhim dölet derijilik höjjetler bilen munasiwetlik bolidu. Mutexesislerning bildürüshiche, bezi kompiyotér mutexesisliri yeni xakkérlar melumet oghurlash üchün intérnét baghlan’ghan her qandaq kompiyutérgha bimalal kireleydiken. Bügün men ishlewatqan kompiyutérgha birsi kirishke orundi emma jasusqa qarshi programma arqiliq tusiwitildi. Yeni kirishke roxset qilinmidi. Buningdin xewiri yoq nurghun kishiler belki kompiyutérlirigha xitay jasuslirining kirip xususiy melumatlirini oghurlighanliqidin xewiri bolmisa kérek. Bügün méning kompyutérim manga bir uchur körsetti. U uchurda sizning komputérgha uzaqtin bir kishi kirishke orun’ghan idi mékafi bixeterlik programmisi kirishni tosup qoydi. Komputérigha kirmekchi bolghan kishining a pi nomuri mushu dep bir numurni körsetti. Men u numurni ay pi numurini tépish dégen programma arqiliq tekshürüp chiqtim, netijide u numur béyjingning chiqti we u kishining turushluq rayon , kocha we binaning ornining xeritisini manga körsitip berdi. Démekchi bolghinim, xitay tor jasusliri méning kompiyutérimgha kirishke urundi emma küchlük jasusqa qarshi programmining qarshiliqigha uchirap kirelmidi. Shuning üchün her qandaq kompiyutérgha küchlük anti jasus yani jasusqa qarshi programma yükleshni tewsiye qilimen bolupmu intérnét baghlan’ghan kompiyutérlargha bashqilarning kirishi bek asan bolup bixeterliki yoq démektur. Sherqiy türkistan dawasigha alaqidar uchur yazghan yaki sherqiy türkistan teshkilatlirining rehberliri ishiltiwatqan kompiyutérlarda choqum jasusqa qarshi küchlük programmilar yüklen’gen bolushi kérek, yüklimigenlerge jasusqa qarshi programma yükleshni tewsiye qilimen. Kompiyutérlardiki muhim mexpi dep qarilidighan höjjet, filim, resim we yaki awaz bolsa uni qoshumche diskke köchürüp kompiyutérdin öchürwitishni, mexpiyetliki bolghan höjjetlerni komputérda saqlimasliqni tewsiye qilimen. Kompiyutérgha jasusqa qarshi programma yükleshte, McAfee Internet security ve yaki Super Anti Spyware dégen programmilarni yükleshni tewsiye qilimen. McAfee Internet security programmisi jasuslarni tosidu we yaki kiriwalghan jasus we wirus programmilarni tutup öchiridu. Super Anti Spyware dégen programma bolsa kompéyutérgha kiriwalghan her qandaq jasus programmini tutup tazilaydu. Bu programma tordin heqsiz chüshürüp ishletkili bolidu, 15 künlük heqsiz ishleydu 15 kündin kéyin bir yilliqini 20 dollargha sétiwélip ishletse bolidu. Deslepki qedemde bu programmini yüklep ishletküchiler 15 kün boyiche kompiyutérgha kiriwalghan jasuslarni tazilap béridu. Shuning üchün deslepki qedemde jasus we wirus bar yoqliqini bu mushu programmini yükligendin kéyin bu programmigha tekshürüsh buyriqi bérilse komputérni tekshürüp jasus bolsa tutup hemmini sanap dep béridu, ular tazlash buyriqi bérilgende hemme jasusni birla waqitta kompiyutérdin tazilap béridu. Sürettiki bügün méning kompiyutérgha kirmekchi bolghan jasusning ay pi nomuri we u ay numuri kirishke orun’ghan jasusning béyjingdiki adrés xeritisi. Biz Uyghurlar köktin kelduq…Waqti kelgende kökke qayitimiz! *Azap, teshwish, endishe we qorqunch hayatliq, ghurur we wijdan ishidur. *Azap, teshwish, endishe we qorqunchtin hergiz waysimang, uning üchün rabingizge minglarche teshekkür éyiting we pexirlening. *Qul qilinghanlar we barliq rohiy késellerde azap, teshwish, endishe we qorqunchtin ibaret tuyghularning tamamen ölük halette bolidighanliqini hergiz unutmang. *Hayat eslide azap, teshwish, endishe we qorqunch…tin barghanche güzelliship baridu. *Biri qulgha aylanduruwétilgen, ikki anadin tughma sarang! *Ularning qimmiti bashqa!Ular bilip turup bedel töliyeligrnlerdur. 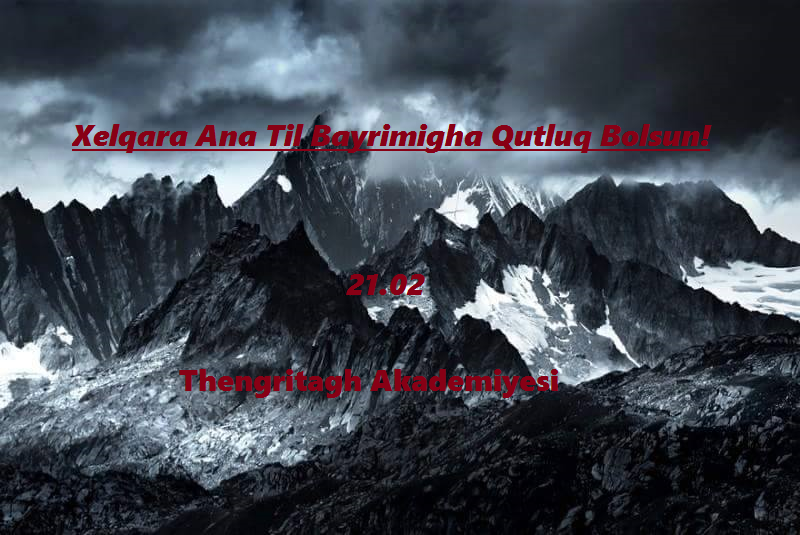 *Qehrimanlar herqandaq bir quldin, herqandaq bir sarangdin we herqandaq bir hür ademdin üstün yaritilghanlardur! *Rezil küchler teripidin Meniwiy yaki wujuden qetli qilinghanlar ene shu qehrimanlar bolup, ular ölmeydu! Tarixning her bir doqmushida ötmüsh amilliri bilen kelgüsining bésharetliri bir-birige zich gireliship kétidu. Uyghur hazirqi zaman jem’iyitining tereqqiyat éhtiyaji yéqinqi zaman jem’iyitidiki ötkür ijtima’iy ziddiyetlerde yétilgen murekkep medeniyet idi’ologiyisige warisliq qilip we uni rawajlandurup, inqilabiy jenggiwarliq we milliy oyghinish éngini gewdilendüridighan hazirqi zaman edebiyat alahidilikini yaratti. Uyghur hazirqi zaman jem’iyiti qoyuq fé’odalliq tüske ige en’eniwi yéqinqi zaman jem’iyitidin rawajlinip, hazirqi zaman sotsiyalizim tüzümige ötken jem’iyet. Bu dewr edebiyati tarixtiki her qandaq dewr edebiyatigha qarighanda, jem’iyetküreshlirini yarqin ipadilep, xelqni fé’odalizim zulimi mute’essiplikke qarshi küreshke chaqirip, azadliq, tereqqiyat we yéngiliqqa intilish iddiyiliri bilen xaraktérlendi hemde milliy shekli, mezmuni, istétik qimmitini zor derijide kéngeytti. U aldi bilen uyghur hazirqi zaman tarixidiki zor siyasiy weqelerge nepesdash bolghan ma’arip, medeniyet-aqartish heriketlirini özige menbe we asasqilghan halda barliqqa keldi. Qaraxaniylar dewride türkiy tilliq xelqler medeniyitining altun dewrini achqan uyghur medeniyiti yeken-se’idiye xanliqining emin yillirida yene bir qétim ronaq tapqandin kéyin, xojilarning teriqet chümperdisige oralghan siyasiy tumanliri qoynida ghayip bolup, junggharlarning zulmetlik doziqigha tashlandi. Tarim asminini qaplighan jahalet tumanliri ilgiri nur chachqan medeniyet merkezlirini xarablashturup,awat meripet böshüklirini chölsiritip qoyghan, hemme yaqni nadanliq, jahilliq we yoqsizliq ilkide ingrighan xelqning ahu-zari qaplighanidi. Bu chaghda jahanning yene bir chéti-yawropada qanat yayghan sana’et-téxnika inqilabi hemde islahat dolqunliri shiddetlik éqim yasap, yéngi ilim-pen we medeniyet chaqiriqliri mehkum xelqlerning bext-sa’aditidin dérek bergüchi altun qongghuraq bolup jaranglidi. Uning yangraq üni dunyaning yiraq sherqide-tarim wadisida qedim xarabilerge qoshulup uyqugha gherq bolghan bu xelqni ghaye, xam-xiyal chüshlirige aldan’ghan bihush uyqudin oyghatti. Millet, wetenning teqdiri, istiqbaligha qayghuridighan meripetperwer, tereqqiyperwer sodigerler karxanichilar we ziyaliylar arqa-arqidin asiya-yawropa qit’esidiki ereb, hindi, türkiy we én’giliz ellirige bérip. Bu jem’iyette barliqqa kelgen tömüryol, zawut-fabrika, matorluq mashinilar, yéngiche ma’arip we yéngi weziyetni körüp, chüshinish hasil qilip, ularning biwaste tesirige uchridi hem ulardin chongqur ilhamlandi[①]. Milliy ma’arip medeniyet we téxnikining milletning tereqqiyatidiki jiddiy zörürlükini chongqur hés qilghan hüseyin musa haji (1884-1926-yillar) bilen bawudun musa haji(1851-1928) öz yénidin pul chiqirip tarixta «hüseyniye mektipi» dep atalghan tunji penniy mektep- atush iksaq mektipini 1885-yili qurup chiqti[②].uninggha egiship qeshqer, yerken, turpan, ili qatarliq jaylarda arqa-arqidin zawut-fabrikilar, karxana-shirketler qurulup, milliy soda-sana’etning deslepki qedemde shekillen’genlikini ipadilidi[③].hazirqi zaman jem’iyitidiki ilim-meripet, medeniyet aqartish herikiti we’ichki-tashqi siyasiy tesirler uyghur pisxikisining chongqur tragédiyilik qaynimidatunjuqup kétiwatqan hayatliq isteklirini qutquzup, özini qudret tapquzush wemedeniyet güllinish éngini östürdi we milliy oyghinish éngini teshwiq qilidighan milliy démokratik edebiyatning ilghar xahishi meydan’gha keldi. Üzse xelqim boynidin xarliq kishen-zenjirini. Dep xitab qilip, el-wetenni qulluqtin qutuldurush yolida bash egmey küresh qildi. «ang géziti» düshmen küchlerning bésimi bilen toxtap qalghandin kéyin 1933-yili«erkin hayat géziti»ni, 1934-yilidin bashlap «yéngi hayat géziti»ni neshir qilip[⑤],düshmenlerge ejellik zerbe berdi. Yéngiche mektep, yéngi neshir epkarliri we yéngiköz qarashlar jem’iyettiki yéngi démokratik xelqchil iddiyilerni algha sürüp, eksiyetchi hökümetning rezil mahiyitini échip tashlighanliqtin, pütün hayatini’uyghur xelqining éngini qorallandurush üchün béghishlighan bu medeniyet jengchisinishéng shiseyning eksiyetchil dahiyliri 1937-yili qeshqer türmiside otta köydürüppaji’elik qetle qildi. Bu dewr medeniyet sépide qutluq haji shewqi bilen billeküresh qilghan yene bir meshhur namayende-meripetperwer ma’aripchi, wetenperwe rdémokrat, jama’et erbabi abduqadir binni abdulwaris qeshqiri (1862-1924)bolup, xususen hazirqi zaman edebiyatining asaschilirining biridur. Abduqadirda molla medeniyet aqartish herikitide qeshqerni merkez qilip qanat yaydurghanma’arip, metbu’atchiliq we edebiy ijadiyette bir yürüsh islahatchiliq teshebbusliri arqiliq milliy oyghinishning tüp yüzlinishini belgilep bérishke hesse qoshqan. Pen-ma’arip arqiliq milletni qudret tapquzush yolida eyni chaghdikimektep oqushluqlirini tüzüsh, yéngilash bilen bir waqitta, xelqning paraset rojeklirini achidighan ötkür pikirlik shé’ir hem nezeriye risaliliri arqiliqdewr mesililirige qawab bergenidi. Abduqadir damolla öz wetininingtajawuzchilar tapini astida depsende qilinip, xelqning siyasiy we meniwi qulluqta qalghanliqining heqiqiy menbi’ini chongqur chüshen’genidi. U yene bir munche terbiyiwi eserlerni yézip, xelqni nadanliq qoynidin yoruqluqqa élip chiqidighanparlaq yolgha yéteklidi. Jahan’girlarning tajawuzchiliqigha, yerlik mute’essipdindarlar, saxtipez sopi-ishanlargha, xushametchi, teslimichi, ikki yüzlimichi munapiqlargha qarshi qet’iy küresh qildi[⑥].1924-yili jahan’girlarning yerlik küchler bilen til biriktürishi arqisidasüyqestke uchrap qurban boldi. Bu mudhishyillarda uyghurlar siyasiy we medeniyet hoquqidin mehrum bolupla qalmay,iqtisadiy jehettimu éghir kirizisqa duch keldi. Alwang-yasaq, baj-séliqlarning éghir, türi köplikidin xelq yelkisini qoram tash bésiwalghandek halgha chüshüpqalghan idi. Yang zingshin dewride chong pomishchik, bay sodigerler arqiliq, shundaqla’eyni chaghdiki ijtima’iy turmushta saqlinip kéliwatqan yurtwazliq köz qarishidinpaydilinip ularni bir-birini cheklep turidighan qilip qoydi[⑦]. Buning bilenla qalmay, u shinjangda milliy ma’arip we medeniyetning ösüshini cheklep, tereqqiyatini boghup, xelqni ilim-pen yéngiliqliridin mehrum qaldurup, ottura asiya we ichki rayonlardin kélidighan yéngi uchurlarni qattiq qamal qilipcheklidi. 1927-yili bu alwastini yer yutqandin kéyin, onigha chiqqan jin shurin’uning izidin bésip milliy yeklesh we kemsitishni téximu kücheytti. Xuddi rus tenqidchisi érlin: «ijtima’iy erkinliktin mehrum bolghan rus xelqige nisbeten edebiyat birdinbir munber. Bu munberde xelq özlirining ghezeplikchuqanliri hem wijdaniy sadasini jakarliyalaydu»[⑧] dep éytqandek, hazirqi zaman alahide tarixiy muhitta yaritilghan uyghur edebiyatida hesretlik keypiyat ichide ölümni teswirlep, milliy oyghinish rohibilen insanperwerlikni birleshtürdi. Baldur oyghan’ghan sha’ir, yazghuchilirimiz bu héssiyatni qedimki uyghur ziyaliylirigha oxshash ghayiwi romantika yaki lirik söygü témiliri sheklide dewrge yoputup, xiyal-arzu derijiside toxtap qalmaydu.belki yéqinqi dewrde asta-asta kötürülgen tenqidiy ré’alizm xahishi hem isyankarliq rohini yükseklikke kötürüp, ré’al inqilab körishining emeliyitigepütünley birleshtüriwétidu. Bu jehette abduxaliq uyghur (1901-1933) ijadiyiti’eng wekillikke ige. «abduxaliq uyghur shé’irliri»[⑨]20-30-yillar uyghur shé’iriyitining nadir nemunisi. Abduxaliq uyghur xelqniyéteklep nadanliqqa, fé’odalizim zulimi we eksiyetchil hakimiyetke qarshi janmu-jan élishqan medeniyet sehnisining isyankar jengchisi, milliy démokratik inqilabchi we sha’ir. Shunga uning shé’irliri küchlük jenggiwarliq, köreshchanliq we oyghinish éngi bilen sughirildi. Uning «oyghan», «yaz tüni», «istimes», «yejüji-mejuji»gha oxshash shé’irlirida diniy xurapat, jahalet, fé’odalizimni qattiq söküp, xelqni meripet arqiliq oyghinishqa chaqirdi. 1933-yili«12-aprél» siyasiy özgirishi» we xojiniyaz haji qozghilingi yüz bergendin kéyin shinjang weziyitide burulush boldi. Uyghur ma’aripi we medeniyet herikitidimu körünerlik özgirishler peyda boldi. Bu dewr gherb jahan’girliri junggogha tajawuzqiliwatqan, dölet ichide gomindang-kompartiye urushiwatqan, gherbiy shimalda jangpéyyüen bilen ma jungying birlishiwalghan ehwal astida, shinjangda jin ornini’igiligen shéng shisey hökümitining murekkep ziddiyetlerge yoluqushini bésharetlep turatti[⑩].bundaq ehwalda hakimiyetni tutup turush üchün sowétler hökümiti bilenhemkarlishishqa mejbur bolup, 1935-yili sowét kompartiyisige üch türlük shertniqoyup hemkarlashti. Nenjing hökümiti bilen alaqini saqlap qalghan asastamusteqil bolush siyasitini ijra qilip, gomindang we kompartiye bilen hemkarlashtihemde «chégra-mudapi’e armiyisi»ni «jahan’girlikke qarshi turush armiyisi»ge,«jahan’girlikke qarshi turush teshkilati»ni «alte büyük siyasetni himaye qilish’ittipaqi»gha özgertip, mawzédungning «birinchi awghust birlik sep muraji’etnamisi»ni himayeqilidighanliqini bildürdi. Bu siyasiy burulushning türtkiside jem’iyet nispiymuqimliship, ma’arip, ilim-pen, yéngi uchur we yéngi medeniyet ishliri bezitereqqiyatlargha érishti. Hemme jaylarda darilmu’ellimin, téxnika-kespiy mektepler we ottura mektepler qurulup, hökümetning siyasiy apparatliri nispiymuntizimlashti. Ölke, wilayet we nahiyelerde sana’i nefise, drama-tiyatir ömekliri we gézit-zhurnal we metbu’atchiliq ishliri yene bir qétim yuqiri dolqun’gha kötürüldi. Butebi’iy halda hazirqi zaman edebiyatining 30-yillardiki munbiride milliy oyghinish éngini yéngiche shekilde ipadilep yuqiri pellige kötürdi. Ma’arip wemedeniyet oyghinish herikitining bu mezgildiki meshhur wekilliri memtili toxtaji,xemit wekili, abdulla rozi, lin jilu qatarliqlar bolup, eyni dewrde bashlamchiliq rolini oynidi. Memtili toxtaji (1901-1937) bu sepning aldida mangghan meshhur ma’aripchi we sha’irlarning biri idi. U 30-yillardiki yéngi mektep oqughuchilirigha özi yézip ahanggha salghan shé’irni oqutup, atush-qeshqer xelqini oyghatqanidi. Bu japaliq yillardiki azadliq inqilabining küresh telipi bu dewrning sana’i nefise, drama-tiyatirchiliq we neshriyatchiliq saheside ehmed ziya’i, nimshéhit, ziya semidi, qasimjan qembiri, zunun qadiri qatarliq sha’ir, edibler, dramatorglarni edebiyat munbirige élip chiqti. Shunglashqa 30-40-yillar uyghur edebiyatidiki milliy’oyghinish éngi aldi bilen tiyatirchiliqtin bashlandi. Qeshqerde sana’i nefiseni barliqqa keltürüp wilayetlik naxsha-ussul tiyatir ömikining deslepki asasini qurghan xelq sen’etkari abdulla turdi ikki oghli-dawut abdulla we semet abdullani bille élip sowét ittipaqdash jumhuriyetliride tatar, özbék tiyatir sen’iti we naxsha-muzikiliri bilen tonushup qaytip kelgendin kéyi, 30-40-yillarda qeshqerde xelqni oyghitidighan naxsha-ussul we tiyatirlarni ishlep, rézhisorluq qilip we oynap medeniyetning janlinishigha küchlüktesir körsetkenidi. Shuninggha egiship shinjangning her qaysi jayliridiki sana’i nefise terkibidiki uyushmilarda«satirach», «chékimlikning aqiwiti», «shermendiler» namliq tiyatirlar ishlinipqoyuldi. Lin jiluning «sada» dramisi, klassik dastanlardin özgertip ishlen’gen«leyli-mejnun», «perhat-shérin», «ghérib-senem» dramiliri, qasimjan qembirining«aldamchi téwip», «zeynepke töhmet» qatarliq drama, opéraliri bir dewrdiki’oxshimighan kishilerning hayat sergüzeshtisi, teqdiri asasida jenggiwarliq rohinigewdilendürüp, milliy oyghinish éngini ipadilep berdi. Ular ijad etkenyillar pütün shinjangning ijtima’iy ehwalida dawalghush yüz bérip erkinlik,azadliq pikirliri bu azapliq ré’alliqqa yüzlen’gen halda hayatning hemmesahelirige chétilip ketkenidi. Shunga’azapliq héssiyat ichide ölümni teswirlesh ularning hayat musapisi we’ijadiyitide yuqiri kötürüldi. Sha’ir nimshéhit ermiya éli damolla (1906-1972)deslepki ijadiyitide klassik dastan «leyli-mejnun» we «perhad-shérin»ni’opéralashtururp,erkin muhebbet we azadliqqa telpünüsh héssiyatini ipadiligen bolsa,40-yillarda «büyük junggo», «asarette turup qalghanlargha xitab», «aldida»,«qebridin awaz» qatarliq shé’irlar arqiliq meripetni teshwiq qilip,fé’odalizim, jahiliyetni qarilap, azadliq inqilabigha awaz qoshti. Qelbidikiküchlük hesretlik keypiyatni yüksek wetenperwerlikning inkasi süpitide anayurtining teqdiri bilen birleshtürüp, uning qan deryasigha aylan’ghan échinishliqhaligha qayghurdi. Düshmenlerning ölüm halakitining muqerrerlikini körsitip, xelqkörishige ilham berdi. Ehmedziya’i 1944-yili yazghan «rabiye-se’idin» opérasining témisi eynen tarixtin’élin’ghan bolup, uyghur klassik edebiyatida abduréhim nizari shu namliq dastanibilen yüksek sherepke sazawer bolghanidi. Ehmed ziya’i bu weqelikni hazirqizaman jem’iyitige ekélip uni erkinlik, azadliq, heqqaniyet, barawerlik, chinmuhebbetni ulughlashqa qaritip, téximu isyankar rohni ipadilidi.qehrimanlarning halakiti kishiler qelbide küchlük zilzile qozghap, tragidiyilikgüzellikning qimmitini namayan qilidu. Bu hazirqi zaman uyghur edebiyatidiki’oyghinish éngining istétik alahidilikining melum bir qismi, elwette. Zulumdestidin köz yéshi deryadek éqip keldi. Yételmeymeqsetke shum qara taghlar bésip keldi. Lutpullamutellip 1942-yili ürümchide yazghan «muhebbet we nepret» namliq dastanidaboway, momay we uning oghli bilen oghlining söygüni otturisidiki muhebbet,sadaqet we wijdaniy burch mesililirini otturigha qoyup, ana tupraqqa bolghanchongqur méhri-muhebbiti, xelqchil iddiyisini hesretlik süküt ichide ipadilep,chin muhebbetning ölümnimu bash egdüridighanliqidek hökümni otturigha qoydi.uning qelbidiki azad tanggha bolghan teshnaliq yürikining ichki qatlamliridikihesretlik pighanni kücheytti. Lutpullamutellip aqsugha barghandin tartip, ta gomindang eksiyetchiliri teripidin qetliqilin’ghan’gha qeder bir yaqtin aqsuda sana’i nefise uyushmisi qurup sha’ir’abdulla rozi bilen bille «ögey ana», «tahir-zöhre» gha oxshash drama-opéralarni yézip, sehnileshtürüp we rol élip xelqni oyghatsa, yene birtereptin shé’irni qoral qilip düshmenlerge ejellik zerbe berdi. Hayatining’axirqi nepsigiche qehrimanliq ülgisini tiklidi. [①] nurmuhemmet zaman: «uyghur edebiyati tarixi», 4-tom (hazirqi zaman edebiyati qismi)shinjang ma’arip neshriyati, 1995-yil uyghurche neshri, 32-betke qaralsun. [②] abdulla talip: «uyghur ma’arip tariiidin ochériklar», shinjang xelq neshriyati, 1987-yil’uyghurche neshri 82-betke qaralsun. [③] abdulla talip: «uyghur ma’arip tariiidin ochériklar», shinjang xelq neshriyati, 1987-yil uyghurche neshri 82-betke qaralsun. [⑤] nurmuhemmet zaman: «uyghur edebiyati tarixi», 4-tom, shinjang ma’arip neshriyati 1995-yil uyghurche neshri 18-betke qaralsun. [⑥] nurmuhemmet zaman: «uyghur edebiyati tarixi», 4-tom, shinjang ma’arip neshriyati 1995-yil uyghurche neshri 18-betke qaralsun. [⑦] «uyghurlarning qisqiche tarixi», dölet milletler ishliri komitéti teshkillep tüzdürgen, milletler neshriyati, 1990-yili uyghurche neshri510-bet. [⑧] érlin:«edebiyat toghrisida», dewr neshriyati, 1992-yil xenzuche neshri 58-bet. [⑨] «abduxaliq uyghur shé’irliri», shinjang xelq neshriyati, 1988-yil neshri. [⑩] «shinjang tarix matériyalliri» 16, 17-qisimlar, shinjang xelq neshriyati, 1985-, 1986-yillar neshri we «uyghurlarning qisqiche tarixi»gha qaralsun. jangjijung: «ürümchi söhbitidin shinjang tinch azad bolghan’gha qeder», shinjang xelq neshriyati, 1987-yil uyghurche neshri. abdulla talip: «uyghur ma’arip tarixidin ochériklar», shinjang xelq neshriyati, 1987-yil uyghurche neshri, 101-,108-betlerge qaralsun. nurmuhemmet zaman: «uyghur edebiyati tarixi» 4-tom, shinjang ma’arip neshriyati 1995-yil’uyghurche neshri 21-betke qaralsun. «shinjang sen’iti»zhurnili, 1985-yilliq 3-sanigha qaralsun. nimshéhit:«ming öy we perhad-shérin», qeshqer uyghur neshriyati 1987-yil neshri. ehmed ziya’i: «tozimas chéchekler» shinjang xelq neshriyati, «rabiye- se’idin» milletler neshriyati, 1985-yil neshri, uyghurche. «shinjang tarix matériyalliri» (14-, 15-, 16-qisimlar) shinjang xelq neshriyati uyghurche neshri. 2003- yili özbékistanning paytexti tashkent shehiridiki “sherq neshiriyati” 1944- yili ghuljida qurulghan sherqiy türkistan jumhuriyiti hökümitining re’isi elixan törining “türkistan qayghusi” namliq kitabini özbék tilida neshir qildi. Eser 1966- 1973- yilliri yézilghan bolup, bu mu’ellipning hayatining axirqi basquchliri bolushigha qarimay, u pütün imkaniyetliri bilen mexpiy rewishte mezkur esirini yézip püttürgen. Mirzaqamaq shara’itida tamamlan’ghan “türkistan qayghusi” da elixan törining hayat musapisining aldinqi basquchliri yeni ghuljida qozghalghan milliy azadliq inqilabighiche bolghan waqit ichide ottura asiyada we uyghur élide körgen bilgenliri teswirlinidu. Eserde yene elixan törining millet, siyaset, din we medeniyet qarashlirimu ekis etken bolup, uning neziride türkistanning ikki qisimi yeni sherqiy türkistan bilen gherbiy türkistan ayrilmas bir gewdidur. Shunga u öz esirige türkistan qayghusi dep nam qoyghan. 1944-yilidin 1949- yilighiche dawamlashqan sherqiy türkistan jumhuriyitining re’is jumhuri elixan töre saghuniy 1946-yili 6-ayning otturlirida sowét ittipaqining ghuljida turushluq razwétka xadimliri teripidin mexpiy rewishte “sizni qorghasta özbékistan kommunistlar partiyisining birinchi sékritari osman yüsüpow kütüwatidu. Sözlishidighan muhim ishlar bar “dégen teklip bilen aldap, sowét ittipaqigha élip chiqip kétilgendin kéyin, hayatining qalghan qisimini tashkent shehiride ötküzidu. Elixan töre saghuniy bu jeryanda “tömür tüzükliri”, “muzika risalisi”, “nawadir ul weqe” qatarliq bir qanche eserni paris we ereb tilidin özbékchige terjime qilidu hemde “türkistan qayghusi”,” diwan saghuniy” qatarliq eserlirini yazidu. Elixan töre eyni waqitta öz hayatini qattiq sowét tüzümi astida, mirza qamaqta ötküzgen bolup, uning jemiyet bilen keng alaqe qilishi, öz eserlirini erkin türde élan qilishi zor cheklimilerge uchrighan bolushigha qarimay, u öz ghayisi we idiyisini ekis ettüridighan shé’irlarni shuningdek bashqa eserlerni yézip qaldurghan. U, bu eserlerning haman bir küni yoruqluqqa chiqishigha ishen’gen shuningdek sowét tüzümini öz ichige alghan barliq diktaturuluq , mustebit sistémilarning haman zawalliqqa yüzlinidighanliqini aldin körgen idi. “men eli saghuniy yashliq-yigitlik künlirimdin bashlap, erebi, farisi tillarni toluq rewishte özleshtürgen idim. Zamanning manga körsetken tosqunluqlirigha qarimay, tengrining yardimide keng kölemde dini, tibbi, we tarixi melumatlargha ige boldum. Erebche, farischilarni yézish, shé’ir éytish qabiliyiti mende bolsimu, lékin men öz türkiy ana tilimni bashqa tillardin artuqraq kördüm. Chünki, qaysi bir milletning ana tili öz wezipisini ötelmey, bashqa yat tillar aldida meghlubiyetke uchrap tiz pükse, undaq millet anche uzun’gha qalmay insaniy hoquqlardin ayrilghan halda uning hayat deptiri üstige qara xet yézilishi shübhisizdur. Undaq milletler peqet wetenliridinla emes, belki pütün barliqi bilen tarix yüzidin yoqilishqa mejbur bolidu. Yuqirida bayan qilin’ghan sözlerge qarap, özümde toplighan peziletlerdin tarix ilmini tallap aldim. Chünki, shu hazirqi dewrimiz 1966-yilida öz wetinide turup ghérb bolghan xelqimiz üchün tarix ilmi béliqqa- su kérek bolghandek kérek ikenlikini men uzundin buyan sezgen idim”. “ötmüsh tarixini untup hazirqi tarixini tonumighan bir millet, qarangghuda qalghan, qolida tayiqi yoq kor kishi kebi qayaqqa ayaq bésishni bilelmey, düshmenning yéteklishige egiship kétishke mejbur bolidu. Ochuq pikirlik sezgür weten oghlanlari tarixning qandaq zörür ikenlikini méning shu sözlirimdin ilham élip chongqur chüshinishliri kérek”. “emdi wetinim méni söymisimu, men uni söygenlikimdin, olusum méni mesitmisimu, men uni mensitkenlikimdin, weten üstide boliwatqan tarixiy özgirishlerni we hem buning kélechektiki yaxshi-yaman netijilirini körsitip, weten balilirigha ülge bolghidek, bashqilar buningdin ibret alghudek, bir tarixiy eser yézishqa kirishtim. Biraq men peqetqina islamperes emes idim.Belki yarilishimdinla Insanperes idim”. Elixan töre özbékistan heqqide eser yézishtin köre sherqiy türkistan heqqide yézishni zörür dep bilgen. Elixan töre hayatining muhim qisimini uyghur élide ötküzgen bolup, u mezkur elning siyasiy tarixida muhim orun tutqan shexs idi. Elixan töre esirining kirish söz qisimida yene özining bu eserni yézish jeryanida qanchilighan derdlik köz yashlirining qeghezler üstige tökülgenlikini, shu sewebtin eserni “türkistan qayghusi” dep atighanliqini eskertidu. Elwette, bu yerde éytiliwatqini élixan törining adettiki köz yashliri emes, belki u özi eqide baghlighan ghayisi üchün tökülgen yashlar, türkistandin ibaret bu keng zéminning azadliqi, erkinliki üchün azablan’ghan qelb zarliri idi. “shu künlerde ejdihar aghzigha kélip qalghan, bizdin baldurraq yütüp kétilish aldida turghan sherqiy türkistan heqqide yazmaqni ela kördüm. Chünki, bu yerde 1931-yilidin 1946-yilighiche bolup ötken ulugh tarixiy weqelerge özüm bashchiliq qilip, emgikim singgen, közüm körgen idi. Bashqa wijdansizlar kebi tarix yüzini qarilashtin saqlinip ötken hadisilerde bolghan weqelerni héch yaqqa burimastin eyni, toghra yézishni lazim taptim. Lékin, bu ikki ölkining tarixi, siyasiy ehwalliri bir-biri bilen nahayiti baghlinishliq idi . Men pütün dunyani küresh meydanigha chaqirghan sowét hakimiyitining 1917-yili qurulghan künidin bashlap, 1931-yillarghiche ötken dehshet-wehshiy künlerni azraq bolsimu, yeni goya déngizning bir qetrisi kebi bolsimu yézip chiqmiqimni tarixiy wezipem dep bildim. Shuning üchün cheksiz qudretlik ulugh tengrige séghin’ghan halda sherqiy türkistan’gha otkünümde körgenlirimni, qilghan ishlirimni bayan qilmaqchi bolup, sözge kirishtim. Elixan töre shuningdin kéyin, özining hayat sergüzeshtiliri heqqidiki bayanlirini bashlaydu. Yillirida tashkentte yézip püttürgen “türkistan qayghusi” namliq eslime xaraktérliq esirining 1-tomining deslepki babini “qeshqerge ötüsh” dep atighan. Aptor bu bapta özining néme sewebtin qeshqerge kétishke mejbur bolghanliqi shuningdek 1917- 1920- yillirida rusiyide yüz bergen char padishahni aghdurush we uningdin kéyinki, sowét hakimiyitini tiklesh heriketliri jeryanida ottura asiyada yüz bergen dehshetlik weqeler heqqide bayan qilidu. – hayat tarixi-insanlarning sinipiy küreshliridin ibaret dégen xata pikir karl marks teripidin otturigha qoyulghan künidin bashlap, xelq ichide keng kölemde hesed otliri qozghilip, insanlar alimige pitne-pasatlar ishiki échilghan idi. Bu pikirni qarighularche qobul qilghuchi ademlerning qoligha hökümet ötkendin kéyin, xelq otturisidiki sinipiy ayrimichiliqni we xususiy mülükni yoqitish üchün, ishchilar hakimiyiti namidin dehshetlik qanunlarni chiqardi. – uning netijiside qara ishchi, nadan déhqanlardin bashqa xelq ichide heqliq(qanunluq) we (qanunsiz)heqsiz dégen pitne ghewghasi bashlandi. Dindarlarning sözi boyiche allahning iradisi, dehrilerning sözi boyiche, tebi’et qanunigha qarshi turup, hayatliq alimide barawer hoquqi bilen yaritilghan insanlar ichidin bir qisimini, özliri chiqarghan xiyaliy qanunlirigha asaslinip,ularni hayatliq hoquqliridin pütünley mehrum qildi. Bu arqiliq étilghan-chépilghan gunahsiz kishilerning hésabi yoq idi. Ulardin éship qalghan qanunsizlar we hem qéchip yürüp qolgha chüshmigen kishiler heqqide her türlük jazalar belgilendi. Bezilirining barliq bayliqliri(nersiliri) musadire qilinip, bala-chaqiliri kochilargha heydilip, özliri yiraq yerlerge sürgün qilindi. Ularning köpliri qisqa we uzun muddetlik qamaqlargha élinip, éghir ishlargha sélindi. Xelq otturisidiki bezi bir ademlerni qorqitish we aldash yolliri bilen yoshurun xizmetlerge baghlidi. – urush-tillash we qiynashlar dehshitidin imanliq -imansin, wijdanliq-wijdansiz kishiler, bu mensepperes jalladlar aldida (bir tekis) turushqa mejbur idi. Chünki, tapshuruqlar toluq rewishte béjirilmise, ular üchün belgilen’gen éghir jazalarning derhal emelge éshishi shübhisiz idi. Héch qandaq gunahsiz, özlirige qarshi dep bilgen kishilerni shepe chiqmas yer asti öylerge kirgüzüp, qiynash astida öltürüsh kebi wehshilikler adettiki ishlardin idi. Bu jallatlarning qoligha chüshken bextsiz mezlumlar, qiynashning qattiqliqidin köngülliridiki sözliri, kömülgen mallirini yoshurup qélish buyaqta tursun ömride anglimighan, kishing xiyallarigha kirmeydighan siyasiy töhmet sözlirini iqrar qilishqa mejbur bolghanliqliridin, ularning köpliri paji’elik halak boldi”. Elixan töre öz yurti toqmaqta turalmay, bir mezgil suquluq dégen jaydiki tungganlar arisida yashaydu. Bu tungganlar eslide yaqup beg qozghilingi zo zongtang teripidin basturulghandin kéyin, qeshqeriyidin qéchip ötken beyyangxuning egeshküchiliri idi. – inqilab bashlan’ghan dewrliride közge körünerlik kishiler öz öylirige sigmighanliqidin men hem oz wetini toqmaq shehiride turalmastin bizdin yüz chaqirim yiraqtiki suquluq dégen jayda, tungganlarning ichide kün kechürüshke mejbur boldum. Chünki buxara oqushini shu zaman aditi boyiche püttürüp, qaytqinimda diniy ilim oqughuchiliri az bolsimu shularning ichide tépilar idi. Buning üstige ular bashqilargha qarighanda her jehettin bizlerge yardemchi idi. Tunggan xelqining kélip chiqishi, tarixini orni kelgende elwette yétishimiz bizning wezipilirimizdur. -1919-yilining axirlirida pishpekke qarashliq qara balta, aqsu kebi 18 rus qishliqi birleshken halda bolshiwéklerge qarhsi qozghilang köterdi. Bayliqqa toshqan pishpek, suquluq tungganliri hem chüshenmesliktin bu ishqa ariliship qaldi, netijide tartquluq pütünley ularnig üstige chüshüp, eng éghir zerbilik kaltekler bularning bashlirida oynitildi. Shundaq qilip, qizil armiye besh yüz öylükke yetmigen suquluq tungganliridin sekkiz yüz kishini heydep kélip, bazar otturisida pilimotqa tutti. Ular ichidin oq tegmey qalghan yaki yaridar bolup, jéni chiqmay turghanlarni qizil eskerler arilap yürüp, neyzilep öltürdi, qozghilangchilar merkizi bolghan besh ming chamiliq aqsuluq ruslardin ilgiri- kéyin bolup, ölüm jazasi körgenlirim ottuzdin ashmighan idi. Allah saqlisa bala yoq dégendek shu yili suquluqqa bérishtin méni saqlap, bu kebi netijisiz, qanliq qozghilang apetliridin özi asrap qaldi. Shu weqe bolghanda men toqmaqtin sekkiz chaqirim shimal tereptiki tunggan qishliqi qaraqongghuz meschitide idim. Pishpek, suquluq qachaqliri qilich, miltiq kebi barliq qorallirini kötürgen halda tonighan-tonimighan arilash meni izdep, kirip kélishti. Buni körgen meshchit qowmliri öz bashliridin qorqushup, we yana meni ayighanliqliridin ularni bu yerde qondurmasliq üchün meslihet körsetken bolsimu, biraq men buninggha raziliq bildürmidim. Bu kebi zor apetlerdin méni nechche qétim saqlap qalghan méhriban tengrim iltipatigha ishen’genlikimdin bu mezlumlarni erlerche ochuq chiray bilen qarshi élip, sunuq köngüllirini kötürdüm. Ular bu yerde yoshurup élish imkaniyitining yoqluqidin , ilgiri-axiri ikki -üch kün turushqandin kéyin, almuta, yerkent chégriliri arqiliq ghuljigha otmekchi bolup ketti”. Sabiq sherqiy türkistan jumhuriyiti prézidénti, elixan töre saghuniy 1919- yili qirghizistanning issiq köl etrapida yüz bergen rus, tunggan we qirghiz qatarliq milletlerning bolshiwiklerge qarshi qoralliq qozghilang heriketlirining meghlubiyet seweblirini xulasilashqa tirishidu. U suquluq rayonidiki tunggan musulmanlirining peqet özlirining iradisi we étiqadigha tayinipla, özidin qudretlik düshmen’ge qarshi jeng qilghan bolsimu, biraq paji’elik meghlubiyetke we dehshetlik qirghinchiliqqa uchrighanliqigha nisbeten qattiq échinishini ipade qilidu. Heqiqeten, tarixiy pakitlargha qarighanda, sowet hakimiyiti tiklen’gen deslepki yillarda ottura asiyadiki her qaysi milletlerning qattiq qarshiliqlirigha duch kelgen bolup, keng kölemlik qoralliq qozghilanglar partlighan idi. Bu musteqilliq küreshlirige özbék, qirghiz, tunggan, uyghur we bashqa milletlerning hemmisi ishtirak qilghan bolup, bu heriketler sowet hakimiyiti teripidin taki 90- yillarghiche “basmichilar herikiti” dep haqaretlinip kelgen. Dehshetlik türde basturulghan bolup, yette sudiki bir qanche on uyghur yéziliridiki uyghurlarmu qizil armiye teripidin kolléktip halda qirghin qilin’ghan idi. Bu weqe tarixta” atu weqesi” dep atalghan . Démek, elixan töre ene shu paji’eler heqqide yézishni millet aldidiki mejburiyet dep bilgen. Elixan töre 1919- yili issiq köl etrapida yüz bergen kommunistlargha qarshi bir meydan qozghilangning paji’elik meghlubiyet bilen axirlashqanliqigha nisbeten intayin échinish héssiyatida bolidu. Uning bayan qilishiche gerche bu qozghilanggha issiq köl boyliridiki yézilarda olturushluq ruslarmu qoshulghan bolsimu, biraq ular qizil armiye teripidin qirghinchiliqqa uchrimaydu ,peqet ottuz nechche kishila ölümge höküm qilinidu xalas. Emma qozghilanggha awaz qoshqan bashqa musulman milletler jümlidin tungganlar dehshetlik türde kolléktip qirghinchiliqlargha duchar bolidu. Elixan töre saghuniy eyni waqitta tunggan qatarliq qozghilang kötürgen xelqning peqet öz ghorurliri we rohigha tayinipla qudretlik düshmen’ge qarshi jengge atlan’ghanliqining orunsiz qurban bérishke élip kelgenlikige nisbeten nahayiti échinip, buning tejribe-sawaqlirini yekünleshke tirishidu. ” ilah teripidin tebi’et alimige ewetilgen ulugh peyghemberlerge we shu tebi’et qanunlirigha boysunmastin bashqa héch chariler yoqtur. Urush penlirining qanuni boyiche, eskerlerning sani, qoral- jabduq we eskiri intizamliri, eng bolmighanda düshmenningkidin töwen we az bolmasliqi birinchi sherttur. Eger shu shara’it qolgha kelse, u halda diniy, milliy haqaretke boysunmastin ,düshmen’ge qarshi qoralgha qol sunush, elwette perz bolidu. Bundaq imkaniyet bolmighan teqdirde , orunsiz urushtin saqlinip, waqtinche sebir qilishtin bashqa chara yoqtur. Biz hazir shundaq shara’itsiz, éghir ehwal astida turuptimiz, mehelle kochisidin ötüwatqinimizda yol boylap, bulang-talang qalduqliri, chéchilip yatqan nersiler, köydürüwétilgen imaretler ichide weyran bolup, yiqilip yatqan tamlar közge tashlinatti. Bularni körüp, köz yashlirimiz qurimastin shu yürgünimizche mezlumlar qanliri bilen boyalghan suquluq qishliqigha kirduq. Bu weqe yüz béripla barghinimiz üchün, musulmanlarning étilghan-chépilghanliri, kocha qanliri tazilan’ghan bolsimu, biraq qirghinchiliqning bashqa belgiliri téxi yoqalmighan idi. Saqchi kishiliri bizning bashqa yaqtin kelgenlikimizni körüp, aldimizni tosup, idarisigha élip bardi. Ölgenlerning xotun-qizliri, yétim balilirigha atalghan bir qanche kiyim-kécheklerni körsitip, özlirimizning yardem bérish üchün kelgenlikimizni bildürduq. Kéyin, yol xetlirimizni tekshürüp bizge ruxset qilghan bolsimu, emma yenila arimizda ishenmeslik peyda bolup, xéli köp söz boldi”. “melumdurki, mehkumluqta ézilgen, qoralsiz, duduqlap qalghan tillar, ghelibe zulumliri bilen meghrurluniwatqan, her birining tumshuqidin tongguz qurti chüshüwatqan qoralliq, hakim tillar(shaxdam tillar) aldida néme déyelisun? Shuning bilen ghalip düshmen aldidin qandaq qilip bolmisun qutulup chiqqinimizdin kéyin, yardemge élip kelgen azdur-köptur nersilirimizni tarqattuq. Ölgenlerning a’ililirige köz yéshimiz bilen qira’et oqup, köngül éyttuq. Bu paydisiz urushta méning öz shagirtlirimdin yigirmidin artuq kishi shéhit bolghan idi. Bulardin eng chonglirining yéshi ottuzdin ashmighan idi. Shundaq qilip, bu jayda ikki-üch kün turghinimizdin kéyin, yene toqmaqqa qaytip kelduq”. “qishning ötüshi yéqinliship, yerdin kökatlar yéngighina bash kötergen idi. Bir küni etigenliki, kocha ishikimizdin birsining chaqirghan awazi anglandi. Qarisam, öz mehellimizdiki mirzabay dégen kishi iken. U méni körgech, közige yash élip,” sizge yaxshiliqlardin bashqini tilimeymiz, hazirqi hökümet aldida anglighinim boyiche, üstingizdin her türlük xewerler bar oxshaydu. Emdiki meslihet shuki, bezi ishlar yüz bergüche, orun özgertip, bashqa yerde turushingiz yaxshiraqtek körünidu” -dédi. Uning bu sözidin oylinip, qandaqla bolmisun bir éhtiyat sewebidin, yat bir hökümet tupriqigha ötmekchi bolup, seper teyyarliqigha kirishtim”. Lékin, bashqa chégrilar bizdin yiraq bolghanliqtin, qeshqer terepke ötüshni maqul kördüm. Janpida shagirtlirimdin tunggan dawud xoja men bilen seperdash bolup yolgha chüshtuq”. Tarixiy pakitlargha asaslan’ghanda 1918- 1920- yillirida ottura asiyada sowét hakimiyiti tiklinish jeryanida lénin rehberlikidiki sowét hakimiyiti we qizil armiye qattiq qarshiliqlargha duch kélidu. Bu qarshiliqlar qanliq basturulghandin kéyin, köp sandiki qazaq, qirghiz, uyghur, özbék we bashqa milletlerning qarshiliq idiyisidiki kishiliri uyghur éligha qéchip kélip bir mezgil panahlinish arqiliq, kéyin qaytidin küch toplap, sowét hakimiyitini yoqatmaqchi bolidu. Bu kishilerning terkibi türlük bolup, ular mal-mülki musadire qilin’ghan yuqiri qatlam kishiliri, musteqilliq pikirlirige ige ziyaliylar, bolshéwiklargha qarshi turghuchilar we weqege qatnashqan addiy puqralar hem bashqilar idi. Elixan töre ene shularning biri idi. Sabiq sherqiy türkistan jumhuriyitining prézidénti elixan töre “türkistan qayghusi” namliq kitabining bash qisimida özining bolshéwiklarning ziyankeshlikidin saqlinish üchün qeshqerge kétish jeryanida yolda körgen weqelerni esleydu. U tarixchi bolush süpiti bilen özi tughulghan toqmaq shehiri jümlidin balasaghun qatarliq jaylarning tarixi heqqide bayan qilip, özige xas köz qarashlarni otturigha qoyidu, uning qarishiche, balasaghun qedimki uyghur-oghuz medeniyitining merkezliridin biridur. “yene öz sözimizge kéleyli. Toqmaqtin chiqip, toghra sherqqe qarap chimqurghan, buralsay, elariq, toyghaq, meydantal, quwaqi arqiliq méngip, qaraghow-qochqargha kelduq. Bu yerdin yürgünimizche bir nechche qonalghularni bésip ötüp, dolan dawinidin éship, narin süyi boyidiki narin shehirige kirduq. Bu töt teripi chong taghlar bilen oralghan eldur. Ruslar türkistanni bésiwalghandin kéyin, sherqiy türkistan’gha kirish qestige teyyarliq körüsh üchün narin süyi boyigha bir qel’e bina qilghan idi. Alataw we tiyanshan tagh-tizmilirining eng qélinlashqan orni we köchme qirghiz türklirining qaynighan jayi gherbiy -jenubi özbékistan, sherqiy jenubiy uyghuristan bolghanliqidin buning siyasiy ehmiyiti zordur. Bu yerdin chiqip arisi 45 chaqirim chanisida kélidighan ot béshi qishliqigha yétip kélip, tashkentlik tuyaqbay hajining öyige méhman bolup chüshtuq. U toqmaqta uzun turghan , öz mehellimizdin ketken kishi idi. Bu yerning töt teripi égiz taghlar bilen oralghan bolsimu, emma dalasi keng we otlaq-yaylaqliri köp idi. Ularning ichide arpa, aqsu dégen yerlerning chöpi küchlük, qimizi köp bolushta dangqi’i chiqqan idi. Ot béshida ikki kün turghandin kéyin, shu yerde qoshulghan qoshmaq hajim bilen üch kishi yoldash bolup, yolgha chüshtuq. Elixan töre qoshmet hajim qatarliq hemrahliri bilen chong yolda mangmay, mexpiy-kichik yollar bilen mangidu. Buningdiki seweb, etrapni chégra saqlighuchi bolshéwik eskerliri qaplap ketken bolup, egerde ularning qoligha chüshüp qalghanda ,ularning oltürilishi mumkin idi. “aldimizda bir qonalghu tashrabatta chégra qarawulliri-qirghiz shamirqan , rus chudir bashliq bir nechche esker barliqini bilduq. Bular aldidin ötüshte yolxéti miz yoqliqidin, qoshmaqhajimning mesliheti boyiche, toghra yolni qaldurup, béloshow dégen oghri yol bilen ketmekchi bolduq.yolda kétiwatqanimizda yiraqta at yétilep kéliwatqan bir kishining qarisi köründi. Chong yoldin u yolgha burulghan waqtimizda aldimizdin kéliwatqan u kishi yiraqtin isharet bilen bizni chaqirdi. Uning bu chaqirishidin addiy kishi bolmisa kérek dep aldigha barduq. Qarisaq, chégra saqchiliri bashliqi -qirghiz shamirqan iken. Bizni körüsh bilen” hey siler qandaq kishisiler? Ochuq chong yolni qoyup yépiq kichik yolgha kirisiler? Qéni bu yaqqa ötünglar” dep bizni bashlighiniche yol üstidiki karwan saraygha chüshürdi. Shu arida qayaqtindur ikki-üch qirghiz yigitliri bilen ilgiriki sipahlardek béligha kümüsh bellik, yénigha egri qilich asqan shu yerlik qirghizlarning bashliqimu yétip keldi. Buni körgen qoshmaq hajimning közliri alaq-jalaq bolup,” hey tang , ishlirimiz qandaq bolar? Sorap qalsa yol xétimiz yoq, allah saqlisun ! bizni qayturup narindiki jallatlargha tapshurup berse, waqit yaman, éghir künlerge qalmighiduq”dédi. Toghra, buning déginidek u künlerde ishchi-kembegheller hakimiyiti qurulghanliqtin, erzimigen nerse bahanisi bilen öltürüsh ishlirini, insanning eng ulugh hoquqlirini inkar qilip, ong -solni ayriyalmighan ishchi-qoshchilarning qollirigha tapshurghan idi. Xelq ichide azdur -köptur chüshinishchan , közge körünerlik, barliq kishiler inqilab düshmenliri hésablinatti. Ularning qarishiche ,heqsiz dep qaralghan ademler jazagha tartilishtin saqlinish üchün bu bicharilerning , u kündiki hakimlargha özliridin bashqa héch qandaq guwah-ispat kérek emes idi. Elixan töre qatarliqlar yerlik qirghiz saqchilirining adimigerchiliki we yardimige sazawer bolup, bixeter halda düshmening qolidin qutulup qeshqer chégrisidin ötüwalidu.u öz seperliride özining allahqa bolghan semimiy étiqadi tüpeylidin her qachan allahning saqlishigha ériship, qiyinchiliqlar we xeterler üstidin ghalip chiqqanliqini bayan qilidu. Sabiq sherqiy türkistan jumhuriyitining prézidénti elixan töre saghuniy özining 1966-1973-yilliri arisida yazghan “türkistan qayghusi” namliq kitabining birinchi babida bolshéwiklarning ziyankeshlikidin qutulush üchün qeshqerge qéchip bérip panahlinish yolida tartqan japa musheqqetliri hemde özining seper jeryanida hés qilghanliri heqqide nahayiti tesirlik we tepsili bayan qilidu. Elixan töre seper jeryanida saqchilarning qoligha chüshüp qalghan bolsimu, lékin ularning yardimi arqiliq öz sepirini dawamlashturushqa muweppeq bolidu. Biraq, bu tagh yolliri nahayiti müshkül bolghanliqtin, köp qiyinchiliqlar we xeterlerge duch kélidu. Emma u yenila xeterdin qutulup, saq salamet kona chégra qorghini tash rabatqa kéliwélip, u jayda turiwatqan uyghur, qirghiz qatarliq musapirlarning yardimige sazawer bolidu. “etisi ornumdin turghanda qarisam, konidin qalghan tashrabat dégen tarixi saray aldigha kelgen ikenmiz. Buning birinchi binasini qeshqer hakimi muhemmed xan qurghan idi. U, sheybanilardin kéyinki, 1006-hijriyide wapat bolghan buxara padishahi meshhur abdullaxanning zamandéshi idi. Sherqiy we gherbiy türkistan soda-tijaret karwanlirini qaraqchilar hujumliridin saqlash üchün her ikki hökümdar özara kéliship shu orunda közetküchi esker qoyghan iken. Emma, buning qandaq netije bergenliki melum emes. Men bu yerdin ötken waqitta héch nerse qalmighan bolsimu, biraq aldi tereptiki kirish ishiki üstige bir ikki gezlik taxta tashlar qoyulghan. Otturidiki uzun yölkenning her ikki chétige yasalghan texminen qiriqtek gümbezlik öylerning belgiliri bar bolup, uning qible teripide yüz kishi yatqudek méhrabliq öy üsti oyulup ketken chong gümbizi bilen bille turatti. Shulargha qarighanda, bu bina öz waqtida xéli heshemetlik qurulush bolghan bolsa kérek. “qarang! oghuz, uyghur, kebi qehriman türk ulusining balilirini ! angsizliq, bilimsizlikliridin bügünki künde qol putlirigha qulluq we esirlik kishenliri sélin’ghan halda insaniy hoquqliridin pütünley ayrilghan idi. Basqunchi düshmenlerning hésabigha öz ana wetenliride turup, qandaq xar-zarliq bilen haywanlarche erksiz we mejburiyet qamchisi astida ishlep yürmekte -he? Yene öz sözimizge kéleyluq. Etisi hemmimiz on kishi bolup, tashrabat dawinidin éship, chadir köl boyigha chüshtuq. Bu bash -ayighi körünup turidighan, aylanmisi ottuz-qiriq chaqirim kelgüdek kichikrek köl iken, yolning yéqinigha qarap, yéngidin érishke bashlighan köl muzlirini késip ötüp, toraqat saraygha chüshtuq. Bu yerde bir öylük saraychi uyghurdin bashqa ,xitay hökümiti teripidin qoyulghan héch kishi yoq iken. Bir kéche yétip, etisi qeshqer chégrisidiki töyün töpe dégen jaygha kelginimizde yolimiz ikkige ayrildi. Udul ketsek, chaqmaq qarawul dégen orun bar bolup, yol tekshürgüchi xitaylar shu yerde turidiken. Shuning üchün biz üch kishi bashqa yoldashlirimizning mesliheti boyiche, sol qol terepke burulup, qara töpe dawinigha qarap yol alduq. Dawan astigha kelginimizde, 1800- yillardiki qeshqer hakimi yaqupbegdin qalghan qarawul qorghini yénidin ötüshke toghra keldi. Aridin uzaq dewrler ötmigenliktin qel’e binaliri köp buzulup ketmigen iken. Bu xarabe közimizge körünishi bilen ikki türkistanning ilgiriki tarixini könglümdin ötküzüp, emdiki qayghuluq ehwalliri üstide uzaq oylinip qaldim” . Elixan töre saghuniy özining bu esirini yézishta paydilan’ghan bir özgiche uslubi shuki, u her bir muhim weqege duch kelgende millet we wetenning béshigha chüshken külpetlik künlerning sewebliri heqqide pikir yürgüzidu hemde shunchilik bichare halgha qalghan ikki türkistan xelqlirining ötmüshtiki shereplik tarixi bilen mewjut xarab halitini sélitishturidu. Tarix bilimlirini yaxshi igiligen elixan töre özi körgen her bir yurt we jay heqqide tarixi melumat bérishke adetlen’gen idi. U mundaq tepekkür qildu. Quran hökümliri asasen üch ishqa toxtalghan: birinchi, ittipaqliq, ikkinchi zamaniwi ilim – hüner öginip, her ishning sewebini imkaniyetning bérishiche toluqlash, üchinchi dushmenning aldida ölümdin qorqmasliq. Mana shu üch nersige hayatliq alimide her kim ige bolghan iken, démek öz wetenlirini pütün insaniy hoquqlirini basqunchi düshmenler hujumliridin saqliyalaydu. Epsuski, biz yéqin ötmüshimizde yirginchlik ittipaqsizliq tüpeylidin öz dölitimizdin ayrilduq. Ulugh qudret igisi allahdek xudasi bar, pütün alemge rehmet keltürgen muhemmed eleyhissala dek yol bashchisi bar, xuda qanuni bolghan islam dinidek dini bar musulmanlarning bu kebi xorluqqa qélishi, qur’an hökümige qarighanda mumkin emestur. Chünki, qur’anning éytishiche, islam dini-ilahiy bir qanundurki, buni toluqi bilen emelge ashurghuchi musulmanlar her ikki dunya dölitige ige bolidu elwette. Bu sözning heqliqige héch shek yoqtur. Sözni éniq ispatlaydu. Türkiye sultani sultan sulayman dewrde dégüdek pütün yawropa hökümetliri islam padishahining buyruqigha boysun’ghan idi. Peyghembirimiz sallallahu wessalam ” bu ümmitim awwalda néme bilen kötürülgen bolsa, axirisida hem shuning bilen kötürilidu” dédi, melumdurki, rasululla dewridin bashlap, islamning tereqqiyati dawamida, qur’an hökümi islam padishahliri aldidiki birinchi qollanma bolghan idi. Emdi yuqiridiki sözlerdin ochuq, melum boldiki ilim hünerde arqida qélip, bashqilarning ayaq astida ézilgen musulmanlar qur’an hökümini emelge ashuralmisimu, heqiqi islamdim héch qachan tanmighan. Elixan töre islamning hökümi shuningdek iman we islam hem uning millet we weten bilen bolghan munasiwetliri heqqide etrapliq pikir yürgüzgen alim bolush süpiti bilen iman, millet we wetendin ibaret bu uqumlarning bir-birin ayrilmasliqi lazimliqini sherhleydu. U öz köz qarashlirini mundaq xulasilighan halda otturigha qoyidu. Birinchi, ittipaqliq, ikkinchi zamaniwi ilim – hüner öginip, her ishning sewebini imkaniyetning bérishiche toluqlash, üchinchi dushmenning aldida ölümdin qorqmasliq. Mana shu üch nersige hayatliq alimide her kim ige bolghan iken, démek öz wetenlirini pütün insaniy hoquqlirini basqunchi düshmenler hujumliridin saqliyalaydu. Epsuski, biz yéqin ötmüshimizde yirginchlik ittipaqsizliq tüpeylidin öz dölitimizdin ayrilduq. Sabiq sherqiy türkistan jumhuriyitining prézidénti elixan töre özining “türkistan qayghusi” namliq kitabining deslepki betliride, özining 1919- yili qeshqerge qéchip barghandin kéyin, u jayda körgen-bilgenliri we hés qilghanliri heqqide bayan qilidu. Elixan töre qeshqerge kelgendin kéyin, bu jaydiki uyghurlarning ehwalining perghane wadisidikidin nechche hesse better ikenliki, angsizliq, bilimsizlik qaplap ketkenliki hetta, bu jaydimu qoshna ottura asiyada yüz bergen bolshéwikler inqilabining tesirlirining yétip kéliwatqanliqi heqqide toxtilidu. Elixan töre esli bolshéwikler idiyisige qattiq qarshi turghan adem bolghanliqi üchün bundaq idiyining uyghurlar arisigha tarqilishini xalimaydu hemde ularning qérindash özbéklerdin ibret élishi lazimliqini tekitleydu. “shu künlerde, yeni miladi 1920- yili, ichki- tashqi dehriyler birliship, chirigen emirler dölitini aghdurup, buxarani bésiwalghan idi. Perghane sheherlirining her biride pütün qishlaq xelqliri qozghilip, “basmichi”lar namidiki qozghilangchilar bash köterdi. Netijide bigunah xelq béshigha qiyamet chüshti. Bulardin wetenperwer, angliq we ilghar pikirlik baylar étilip-chépilip ölükliri tashliwétildi. Qalghanlirining köp qisimi ölümdinmu artuq qiynilip, türmilerde uzun waqit yatquzulghandin kéyin, yiraq yerlerge sürgün qilinip, eng éghir ishlargha sélindi. Ularning aldi yigirme besh, eng kéyini on yilgha sürgün qilin’ghanliqtin ularning yüzdin biri qaytip keldi. Ularning u yerlerde salametlikliri buzulghanliqi sewebidin, hayat qaytip kelgenlerning sani nahayiti az idi. Rusiye tupriqida kötürülgen pitne wolqanliri pütün memliketni qaplap, uning uchqunliri chégra tashqirisighimu chüshken idi. Mana shundaq éghir ehwal, qiyin künlerde chongqur pikir, katta ümidler bilen qeshqerge kélishim idi. Qarisam, bu yerdiki angsizliq, bilimsizlik balasi bizdin yüz derije artuq iken. Buni körüp, oylighan oylirim buzulup, özüm heyranliqta qaldim. Bolmisa, shu künliri qeshqerde ayet-hedis tefsiri, her türlük diniy ilim oqutquchiliri yüzlep, oqughuchilar nechche minglap bar idi. Pütün özbékistan, qirghizistan sheherlirini qaplighan uyghur sodigerliri bu yerlerde bolup ötken we boluwatqan xelq üstidiki dehshetlik ishlarni közliri körüp, özlirimu béshidin ötküzgen idi. Eslide ming anglighandin köre, bir qétim körgenning tesiri artuq bolushi kérek idi. Elixan töre axiri anche uzun ötmey qeshqerdin qaytip kétidu. U özining néme üchün qaytip ketkenliki heqqide toxtilip, buningdiki sewebning qeshqerdiki qalaqliqlar tüpeylidin özige bu jayda yoldash bolidighan bir kishini tapalmaydighanliqigha közi yetkenliki ikenlikini körsitidu. Uning üstige bu chaghda qoqan yerlik milletlerning qoqan aptonomiye hökümiti qurulghan bolup, u yéngidin tesis qilin’ghan milliy mejliske öz akisi alimxan törining eza bolghanliqi bilen bir mezgil uning yénida turmaqchi bolghan. Biraq, qoqan aptonomiye hökümiti tashkentni merkez qilghan bolshéwiklerning qizil armiye qoshunliri teripidin aghdurulup, qoqan xelqi qanliq basturulidu hemde qoqan aptonomiye hökümitining rehberliri jazalinidu. “pütün uyghuristanni qaplighan shuninggha oxshash angsizliq apitini körüp, u yerdin ümidim üzülüp, nachar, yéngidin ot éliwatqan pitne ochiqi ichidiki öz yurtum toqmaqqa qaytip keldim”. Sherqiy türkistan jumhuriyitining prézidénti elixan töre saghuniy türkistan qayghusi namliq kitabining ikkinchi babida özining qeshqerdin qaytip kelgendin kéyinki tesiratliri heqqide toxtilidu. Qoyuq pelsepiwi pikirler bilen tolghan mezkur babta sabiq re’is jumhur elixan töre türkiy xelqlerning ana makani bolghan bu bipayan türkistanda néme üchün musteqil dölet shekillinelmidi? Dégen nuqta üstide pikir yürgüzidu. Elixan törining qarishiche, türkistanda bir musteqil döletning peyda bolalmasliqidiki sewebler türlük bolup, kéyinki waqitlarda türkistan, bolupmu türkistanning bir qisimi bolghan özbékistan char rusiye teripidin ,uningdin kéyin bolsa sowét rusiyisi teripidin igilinip, musteqilsiz yashidi, bularning hemmiside minglighan özini türkistanliq we özbék dep atighan ademler ruslar üchün xizmet qilip, ularning öz millitini qul qilishigha maslashti we yardemleshti. “biz bolsaq, heqiqette bolshéwikler hökümiti qurulghandin bashlap, yalghuz milliy , dini weteniy heqlirimizla emes belki, insaniy hoquqlirimizdinmu pütünley ayrilghan axirqi erksiz haywanlar qatarida ishleshke mejbur bolduq. Bir milletning öz hoquqliri pütünley öz qoligha tapshurulmighach, özbékistan nami qeghez üstige yézilishi bilen yaki bashqilarning yükini kötergen, harwisini tartqan ishek-atlardek bir munche özbék namidiki wijdansiz, quruq heykellerni öz meqsetlirini yolgha keltürüsh üchün orunduq üstige olturghuzup qoyush bilen u millet qandaqmu özini azadliqqa chiqtuq déyeleydu? Belki bundaq milletler ene shundaq xiyanet perdiliri astida pütün héssiyatliridin ayrilghan halda yem bolup, yütülüp, axiri munqerzlik héngigha yiqilip halak bolushi shübhisizdur”. Tarixiy tejribilerning körsitishiche, her qandaq bir millet öz milliy dölitidin ayrilip, uning hökümiti yoqilidiken, hökümet igisi bolghan kelgindilerning köpiyishi hésabigha ularning nesilliri yilsayin azlap, eng axirida pütünley yütülüp kétilishi emeliyette körülgendur. Öz hakimiyitidin ayrildi démek- zawalliqqa yüzlendi démektur. Shu sewebtin dunyadiki angliq, medeniy milletler öz hakimiyitini saqlap qélish üchün nechche milyonlap qurban bérishke teyyardur. “yene öz sözimizge kéleyluq, qeshqer sepiridin qaytip kelginimdin kéyin, merhum atimiz shakirxan töre xojining nesihetliri boyiche yazda déhqanchiliq qilip, qishta tungganlar arisida diniy xizmetler bilen ömür ötküzdüm”. Elixan törining bayan qilishiche, 1921- yili lénin rehberlikidiki sowét rusiyisi ottura asiya xelqlirige bir qatar diniy erkinlik siyasetlirini élan qilidu. Shu yili léninning nami bilen yézilghan ottura asiya xelqlirining diniy étiqad erkinlikige yol qoyidighanliqi heqqidiki sho’ar élan qilin’ghanda u, pursettin paydilinip, toqmaq qatarliq jaylardiki chong meschitlerde imamliq qilish jeryanda dinsizlikke qarshi teshwiqatlarni élip baridu. Netijide, 1922- yili hökümet teripidin qolgha élinip, bishkek shehiridiki türmige tashlinidu. U, bu jeryanda lénin rehberlikidiki kommunistlar teripidin éytilghan sözlerning hemmisining yalghanliqini heqiqi tonup yétidu. Elixan töre bir ay türmide yatqandin kéyin boshutulup, öz yurti toqmaqqa qaytidu hemde taki 1930- yillarghiche shu jayda yashaydu. “hayatliq alimide eng ulugh we aliy derijilik yaritilghan nerse shübhisizki shu insandur. Shuning üchün insan hoquqlirini eng yuqiri derijide saqlash heqiqiy medeniyetning ayrilmas bir qismidur”. …”melumki, dunyada yashighan her bir kishining eng qimmetlik we qizghinip saqlaydighan besh nersisi bolidu. Birinchi- jéni, kéyinkiliri bolsa, dini, mal-mülki, a’ilisi we ana wetinidur. Mana bu besh nersini saqlash üchün angliq insanlar qandaq küresh qilidu? Dunyaning her bir yéride tökülgen we tökülüwatqan insan qanliri köz aldimizda körünüp turidu. Bu paji’elerning birdin-bir sewebi shu yuqirida éytilghan nersidin bashqa emestur. 1944- yili ghulja shehiride qurulghan sherqiy türkistan jumhuriyitining prézidénti elixan töre saghuniy “türkistan qayghusi” namliq kitabida özining béshidin ötken kechürmishliri heqqidiki bayanlirini dawamlashturup, qeshqerdin qaytip kelgendin kéyin, ilgiri kéyin endijan, toqmaq we qara qol sheherliride élip barghan pa’aliyetliri hemde körgen-bilgenliri we hés qilghanliri heqqide bayan qilidu. Uning otturigha qoyishiche, ottura asiyadiki qozghilangchilarning heriketliri basturulup, melum yillar ötken bolsimu, biraq xelqning bolshéwiklargha bolghan qarshiliqliri héch qachan toxtap qalmighan. Eshu yillarda perghane wilayitide keng tonulghan islam alimi nasirxan töre we uning oghulliri bir qisim kishilerge rehberlik qilip kommunistlargha qarshi qozghilang kötüridu. Biraq bu qoralliq qozghilang basturulup, nasirxan töre hemde uning oghulliri tutqun qilinip, ölümge buyrulidu. Bala-waqiliri bilen xoshlishidu. Közliridin bichariliq yashliri tökülüp turghan perzentlirining yigha-zariliri, ularning ” siz ketsingiz biz qandaq yashaymiz” dégen nale -peryadliri aldida yüriki ézilgen elixan töre néme bolsam meyli, balilirim bilen qélip, béshimgha kelgenni körey depmu oylaydu,. Biraq u özige hay bérip, bundaq qilghanda belki, eshu baliliridin ebediy ayrilishi mumkinlikige közi yétip, qetiy irade bilen seperge atlinidu. U özining we özige oxshash minglighan kishilerning oz a’ilisini, perzentlirini tashlap, jan qayghusigha qélishigha seweb bolghan amillar heqqide pikir yürgüzüp, buning kommunistlar ikenlikini körsitidu. “emdi bashtin ayaq bundaq paji’elik tarixiy sözlerni yézishimdin közligen méning tüp meqsitim quruq söz qilish emes ,belki pütün insaniy hoquqliridin mehrum qilin’ghan öz wetenliride turup, ghérib bolghan türkistan xelqini, yeni hazirqi we kélechektiki weten yashlirini agahlandurup ,ularni ölüm uyqusidin oyghutushtur. Könglümdiki mungluq qayghulurumni qelem uchidin töküp yazghan bu kitabimni oqughuchi we anglighuchi wetenperwer, milletsöyer qehriman balilirimizgha méning tapshuruqum shuki tilim uchidin emes , dertlik dilim ichidin chiqirip yazghan yalqunluq sözlirimni peqet oqupla qoymastin her bir éghiz sözümni tehlil qilip ,uning heqqide pikir yürgüzsun! . Insaniyet tereqqiyati emes ,medeniyet tereqqiyat bolghan 20- esirimizde’iki insanlar milliy, weteniy, diniy hoquqlirini saqlash üchün qaysi nersilerni qolgha keltürüshi zörür ikenlikini yaxshi chüshünüp uning charisini qilsun !”. Sherqiy türkistan jumhuriyitining prézidénti elixan töre özining türkistan qayghusi namliq kitabida bayan qilishiche, u sowét hökümitining zulmidin qutulush üchün 1930-yilining séntebir aylirida uyghur diyarigha ketmekchi bolup, yolgha chiqqan bolsimu, biraq türlük qiyinchiliqlar we sowét chégra qoghdighuchi eskerlirining qattiq qamal qilishi tüpeylidin chégridin ötelmey öz yurtigha qaytip kélishke mejbur bolidu. Emma, uning ehwalidin xewer tapqan bolshéwik hökümiti uni tutup, bishkektiki türmige tashlaydu. Qattiq türme azabliri, qiyin-qistaqlar uning iradisini boysunduralmaydu. Eyni waqitta, sowét hökümiti eng xeterlik jinayetchi dep qarighanlarni sibiriyining yiraq jayliridiki ormanliqlargha sürgün qilip, éghir emgeklerge salatti. Sowét hökümiti elixan törini 10 yilliq qamaq jazasigha höküm qilip, sibiriyige sürgün qilidighanlar tizimlikige kirgüzidu. Lékin, u pursettin paydilinip, türmidin qéchip, tungganlarning himayisi astida bir mezgil yoshurunup yürgendin kéyin, sherqiy türkistan terepke qayta qachidu. Milliy hakimiyitimizdin hazirche ayrilghan bolsaqmu, biraq milliy héssiyatimizdin ayrilmay, uni saqlap qalsaq kélechek düshmenlerge yütülüp kétishtin özimizni qutquzup qalalaymiz. Emdi bu meqsetke yétish üchün qoyulghan mesililirimzning eng birinchi sherti til mesilisidur. Eger biz til- edebiyatimizni rawajlandurup, uning qedir -qimmitini ashurup, bashqa medeniy milletler derijisige yetküzelisek, mana bu chaghda millitimiz we milliy héssiyatlirimiz da’imiy rewishte tereqqi qilip saqlan’ghusidur. Eger bundaq bolmaydiken ,belki eksiche öz ana tilining qedrige yetmey, uninggha ehmiyet bermeydikenmiz, u chaghda uzaqqa barmay öz tillirimizdin ebediy ayrilip qalimiz. Ene shundaq öz ana tilidin ayrilish milliy héssiyatni yoqitishning netijisidur. Bu ish insaniyet alimidiki eng zor xiyanet hésablinidu. Elixan töre bir milletning bichare halgha chüshüp qélishigha köpinche hallarda özliri seweb bolidighanliqi, özliridiki iradisizlik, angsizliq shuningdek musulman millet bolsimu, emma , öz imanigha sadiq bolmasliq qatarliq illetlerningmu muhim rol oynaydighanliqini sherhleydu. U, özining köpinche analizlirida sherqiy we gherbiy türkistandiki uyghur we özbék xelqlirining omumiy ehwalini asas qilip pikir yürgüzidu. “milliy hakimiyitimizdin hazirche ayrilghan bolsaqmu, biraq milliy héssiyatimizdin ayrilmay, uni saqlap qalsaq kélechek düshmenlerge yütülüp kétishtin özimizni qutquzup qalalaymiz. Emdi bu meqsetke yétish üchün qoyulghan mesililirimzning eng birinchi sherti til mesilisidur. Eger biz til -edebiyatimizni rawajlandurup, uning qedir -qimmitini ashurup, bashqa medeniy milletler derijisige yetküzelisek, mana bu chaghda millitimiz we milliy héssiyatlirimiz da’imiy rewishte tereqqi qilip saqlan’ghusidur. Eger bundaq bolmaydiken ,belki eksiche öz ana tilining qedrige yetmey, uninggha ehmiyet bermeydikenmiz, u chaghda uzaqqa barmay öz tillirimizdin ebediy ayrilip qalimiz. Ene shundaq öz ana tilidin ayrilish milliy héssiyatni yoqitishning netijisidur. Bu ish insaniyet alimidiki eng zor xiyanet hésablinidu. Bundaq boldi démek ulugh türkistan xelqi- turan nesli basqunchilarning arzusi boyiche yoqilip, munqerzlikke uchrap, ularning tarix sehipisidiki shan -shereplik nam-nishanliri öchürilidu démektur, buningdin allah saqlisun!”. Elixan törining neziride til bir millet üchün enggüshter bolup, tilsiz we dinsiz millet mewjut bolmaydu, milliy héssiyat bilen til zich birleshken. Til yoqalsa, milliy héssiyat yoqilidu, milliy héssiyat yoqalsa, til hem milletning özimu yoqilidu. Birodarim aybek, siz keltirgan kitob muqowasi krill alifbosida ekan, shu krill alifbosida bosilgan asarni shundayicha qo’yishning iloji yo’qmi? Sherqiy türkistan jumhuriyitining prézidénti elixan töre özining 1966- 1973-yillirida yézip tamamlighan, emma peqet u wapat bolup, 27 yildin kéyin neshir qilinishqa muweppeq bolghan esiri” türkistan qayghusi” da özining 1931- yili ikkinchi qétim uyghur diyarigha kelgendin kéyin bashlan’ghan murekkep hayati heqqide mexsus bayan qilidu. Medeniy hayatini köz aldimizgha keltürüshke muweppeq bolimiz. Süydingdin ötüp, bir qanche kündin kéyin ghulja shehirige yétip kelgen elixan töre toqmaq uyghurliridin bolghan almasbék hajining oghulliridin turdaxunbék isimlik kishining öyige chüshidu. “lékin, aylarche, yillarche dawamlashqan mundaq ziyapetlerde körgen hörmetler we süpetleshler könglümdiki derdlik jarahetlirimge shipaliq bérish emes, belki uninggha tuz quyghandek sézilmekte idi. Chünki, chong-kichik bay sodigerler, mufti-elem axunlar bashliq pütün xelq gheplet uyqusida yatqan, jahalet patqiqigha pütünley patqan idi. Uning üstige iqtisadiy tozaq-qapqanlari her qedemde, halaket oriliri perdilen’gen halda her yerge qézilghan idi. Ularning héch qaysiliri buninggha perwa qilmay, bu halaket orilirini perwanidek aylinip, öz janlirini qurban qiliwatatti”. Elixan törining yézishiche, eyni waqitta ghulja shehiridiki ahalining mutleq köpchilikini uyghurlar teshkil qilghan bolup, uningdin qalsa yene tunggan, qazaq, qirghiz, qalmaq, shiwe we solon qatarliqlar bar idi. Bulardin bashqa yene özbék, rus we noghay(tatar) qachaqlirimu mewjut bolup, musulmanlar ichide noghaylar zamaniwi chüshenchilerge ige xelq bolghandin sirt bashqa musulmanlar ichide bilim igiliri cheklik, xelq omumiy yüzlük nadanliq patqiqigha patqan idi. Elixan töre yene bu yerdiki qachaq özbékler heqqide toxtilip mundaq deydu: ” rusiye tereptin kelgen köngli kor özbék bay- sodigerliri héch nerse körmigendek, özlirini soda ishlirigha perwanilarche urmaqta “. Elixan törining bayan qilishiche, eyni waqitta sowét ittipaqidin kélidighan mallar ichide haraqning sodisi yaxshi bolghanliqi üchün islam dinida haraq ichishning haram qilin’ghanliqila emes, belki haram nersining sétilishiningmu haram qilin’ghanliqigha qarimay, bir qisim bay sodigerler halaldin haramni artuq körüp, haraq sodisigha kiriship ketken idi. Elixan töre özbék sodigerlirini öz ichige alghan ularning bu sodisini “halaldin haramgha aylinip ketti “dep tenqid qilidu. Elixan töre “türkistan qayghusi” namliq kitabida yene özining ghulja sepiride körgen u jaydiki qazaq qérindashlarning ehwalliri heqqidimu bayan qilidu. Uning otturigha qoyishiche, eyni waqitta qazaqlar intayin éghir zulumgha uchrighan bolup, ularning turmushi nahayiti éghirchiliqta ötken iken. Elixan töre axirida uyghur diyaridiki xelqning bu xil medeniyette arqida qalghan, nadan qiyapitini özgertishning chariliri heqqide öz köz qarashlirini otturigha qoyidu hemde özining tarixchigha xas alahidilikini jari qildurup, ili wadisi jümlidin ghulja shehiri we uning etrapining qedimiy tarixliri heqqide toxtilip, bu yurtning ezeldinla türkiy xelqlerge tewe zéminliki, bu jaydiki taranchilar dep atalghan xelqning emeliyette eshu qedimiy medeniyet yaratqan uyghurlar ikenlikini körsitidu. Türkistan yaki uyghuristan dep ataydu. Uning neziride uyghuristan yaki sherqiy türkistan omumiy türkistanning bir qisimidur. U, uyghuristanning heqiqi igisi bolghan uyghur xelqinining éghir zulum ichide ötmüshtiki shan-shewkitini yoqitip, nadanliq we jahalet patqiqigha chongqur patqanliqigha chongqur échinip, qelbi cheksiz azablinidu. 1944- yili ghuljida qurulghan sherqiy türkistan jumhuriyitining re’isi elixan töre özining “türkistan qayghusi” namliq kitabida yene 1931- yili qumul qozghilingining tesiri bilen pütün uyghur diyari miqyasida yüz bergen uyghur milliy azadliq inqilabi heqqide xéli etrapliq bayan qilidu. 1931- yili qumul qozghilingi yüz bergende elixan töre ghuljida bolup, u xoja niyaz hajim rehberlikidiki bu inqilab heqqide köp anglaydu. Uning bayan qilishiche, eyni waqitta xoja niyaz hajimning qehrimanliqliri, qozghilangchilarning qomul, turpan qatarliq jaylarni azad qilghanliqi qatarliq weqelerge a’it türlük uchurlar ili wilayiti da’irisidiki xelq arisighimu yétip kelgen. Uningdin bashqa yene uyghur qozghilangchiliri bilen tunggan qozghilangchilirining birleshkenliki bolupmu, majungying bilen xoja niyaz hajimning hemkarliship, ürümchi etrapidiki jaylarda jing shurén qoshunlirini köp qétim yenggenliki heqqidiki melumatlardin ilhamlan’ghan bir qisim ghulja tungganliri hem bashqa musulmanlar xitay chiriklirige qarshi küreshke atlinidu. Bu yerde elixan töre özining ghuljidiki weqelerni öz közi bilen körgenlikini emma, bashqa jaylardiki weqelerni peqet anglighanliqini eskertish bilen birge öz tesiratlirini otturigha qoyidu. Uning qarishiche, 30- yillardiki keng kölemlik milliy azadliq inqilabining kélip chiqishidiki asasiy seweb uyghur qatarliq milletlerning xitay militaristlirining zulmigha uchrighanliqi, xitaylarning bu jaydiki xelqlerge nisbeten wehshiyane zulum qilish, kemsitish siyasiti yürgüzgenlikidur. Lékin, elixan törining tehlil qilishiche, sowét ittipaqi deslepki waqitlarda sherqiy türkistanni bésiwélip, özi bilen hemkarlashmighan xitay militaristi jing shurénni yoqitip, uning ornigha sowét peres xitaylarni dessetmekchi bolidu hemde shéng shiseyni yölep, ölkining hoquqini uning qoligha tapshuridu. Sowét ittipaqi özining meqsitige yétish üchün qozghilangchilar arisigha, bolupmu tungganlar bilen uyghurlar arisigha köp ziddiyet oti yaqidu hemde biwaste qizil armiyisini kirgüzüp, xitaylargha yardemliship, bu jaydiki sowétke qarshi uyghur we tunggan qatarliq milletlerning qozghilangchilirini basturidu. Elixan törining otturigha qoyushiche, rus armiyisi nahayiti wehshi bolup, ghulja qatarliq jaylarda nurghunlighan bigunah ademlerni qirghin qilidu. Hetta a’ile boyiche qirip tashlash weqelirinimu sadir qilidu. Rus eskerlirining bu qirghinchiliqi ghulja xelqighe éghir balayi-apetlerni élip kelgenliki üchün özining hayatidin ensirigen elixan töre axiri yoshurunche ghuljidin ayrilip, muz dawan arqiliq tengri taghlirining jenubigha ötüp ketmekchi bolidu. Elixan töre 30- yillarda pütün uyghur diyarida partlighan qozghilanglar heqqide öz köz qarishini otturigha qoyup, axirida bu ölkide yenila xitay hakimiyitining qayta ornishigha seweb bolghan amillarning musulmanlar arisidiki ittipaqsizliq ikenliki, xoja niyaz hajim bilen ma jungying arisidiki ziddiyetningmu balayi -apetlerge asas bolghanliqini körsitidu. Elixan törining chüshinishiche, eyni waqitta sabit damollam qatarliqlar qeshqerde milliy hakimiyet qurghan bolsimu, biraq ular ittipaqsizliqni tügitelmidi. Bir-birige béqinmaydighan bir qanche guruppa qozghilangchilarning öz ara ziddiyetlishishi düshmenge purset yaritip berdi. Emma, elixan töre musulmanchiliq idiyisidin chiqish qilip turup, “majungyingni pütün sherqiy türkistan musulmanlirini azad qilish qurbigha ige qehriman” dep medhiyilep, tungganlarn aqlash pozitsiyiside bolidu. Uning ornigha xoja niyaz hajim we mahmud muhiti qatarliq uyghur qozghilangchi rehberlerni pitne-pasatlargha ishinip tungganlar bilen bolghan ittipaqliqni buzghan dep tenqid qilidu. Elwette, elixan töre bu qozghilanglargha biwaste qatnashmighanliqi, ene shu rehbiri kishiler bilen biwaste uchrashmighanliqi hemde söhbette bolmighanliqi üchün uyghur -tunggan ish birlikini lilla meydanda turup, bahalashta cheklimige uchrighan. U peqet islamiyettiki ittipaqliq we bergen wedige wapa qilish idiyisige tayan’ghan. Uning arzusi boyiche, meyli xojan niyaz hajim, meyli majungying bolsun her ikkilisila musulman bolghanliqi üchün bergen wedilirige wapa qilishi kérek, düshmenlerning pitne-pasatlirigha, aldamchiliqigha ishenmesliki lazim idi. 1944- yili 12- noyabirda qurulghan sherqiy türkistan jumhuriyitining re’isi elixan töre özining 60- 70- yillarda tashkentte yazghan “türkistan qayghusi” namliq kitabining birinchi tomida 30- yillardiki keng kölemlik uyghur milliy azadliq inqilabi heqqide köp toxtilidu shuningdek bu küreshning meghlubiyet sewebliri heqqide öz köz qarashlirini otturigha qoyidu. “ikkinchi buxara dep atalghan qeshqerdin tartip, pütün alte sheher-uyghuristan ölkiside bu kebi ulugh siyasi ishning höddisidin chiqqudek yétük bir adem yoq idi. Shuning üchün bichare musulmanlar shunchilik éghir bölgünchiliklerge uchrighan idi. Chünki, dölet qurush üchün kérek bolghan eswablar qollirida teyyar bolsimu, lékin uni öz ornida ishlitelikidek ustilar yoq bolghach, uningdin paydinalmidi. Buning üstige qizil mekkarlar, musulmanlarning özara ittipaqliri bilen quruluwatqan yéngi hökümetni birer döletning wasitisi bilen dunyagha tonulup qalmisun dep, buning charilirini qilishqa qattiq kirishken idi. U künlerde qeshqerde sowét rusiyisige qarshi en’giliye elchixanisimu ishlimekte idi. Yerlik xelqtin teshkiliy rewishte ish élip barghuchi siyasiy kishilerning yoqliqidin we hem jughrapiyiwi ornimiz medeniyet alimidin bek yiraqta turghanliqtin, biz ikki türkistan yerlik xelqi esirler boyi kötürülgen shu inqilablardin yéterlik rewishte paydilinalmay qalduq. Shuninggha köre , bizlerning teqdirimiz öz düshmenlirimiz -qara-qizil ejdiharlarning paydisigha muwapiq halda belgilenmekte idi”. Ümidsiz bolma hey saghuniy, ümidning körmigi bardur,qarangghu kéche tamamidin quyashning chiqmiqi bardur. “birdin bir yol, eger men oylighandek, pütün xelqqe sözi ötidighan abroyluq, dahiyliq süpitigimu ige bolghan, zamanisini chüshen’gen tedbirkarlardin bir küchlük siyasi jemiyet qurulghan bolsa, kéyin bu jemiyet arqiliq qeshqerdiki bashqa bir küchlük dölet wekili bilen kéliship, tertiplik rewishte ish élip bérip, pütün uyghuristan namidin xelqning telipige maslashqan heqiqiy islamiyet asasida hökümet qurulsa, weten baliliri özara ittipaqliqini mustehkemlep, küchlük bir herbiy qomandanliq teshkil qilip we mumkin qeder uni yaxshi qorallar bilen qorallandurup, éhtiyatliq bilen ish élip bérilghandila öz hökümitini qolgha élishi mumkin bolar idi”. Emmma elixan törining bu arzusi 30- yillar shara’itida emelge ashmidi. Xuddi shuninggha oxshash sabit damollam, muhemmed imin bughra, mahmut muhiti , meqsut muhiti we xoja niyaz hajim qatarliq köpligen xelq rehberliri milletni azadliqqa érishtürüsh yollirini we usullirini izdep, her xil chare -tedbirlerni qollan’ghan bolsimu shundaqla reqipliri hésablan’ghan xitay militarstlirini yéngip, ölkining mutleq köp qisimini azad qilghan bolsimu, biraq tashqi küchler jümlidin birinchi bolup, stalin rehberlikidiki moskwa hökümitining uyghur xelqining azadliqini xalimighanliqi we uni özlirining ottura asiyadiki hökümranliqigha nisbeten xeterlik dep qarighanliqi üchün beribir uni qurban qiliwetti, uyghurlargha emes, eksiche xitay militarstlirigha yardem bérip, uyghurlarning tökülgen qanlirini zaye qiliwetti. Elixan töre 1937- yilining yaz aylirida ming bir japalarni chékip, türlük xeterler we qiyinchiliqlarni bashtin kechürüp, aman -ésen tengri taghliridin ötüp kuchargha yétip kélidu. U seper jeryanida yultuz dégen jaydiki mongghullarning yardimige érishidu. Seweb qil, seweb qilghuchini unutma!heqiqet shuki, uningdin waz kechme!saghuniy atang qilidu nesihet,chüshen’genler bundin alghay ibret. Déme: “özgermes alem- ish tamamdur”, ne bolghay etiki kün , uni kim bilur .özgertmekke hayatingni seweb qil,wetenni qutquzushning charisini qil . Bolghuluq boldi, kimlikingni unutma hergiz,unutma , hey oghul özbéklikingni.yütülüp ketmey saqla sen millitingni,qutqaz qulluqqa chüshken bu élingni. Saqlimisang tilingni ger ,yüter séni düshmen,tashlar séni u ayaqlirigha hem qul qilar.yütmekke teyyar séni bu ejdihar,hey! aq-qarini ayrimas balilar. Ne boldi, uyghuristan, ach közüngni, közüng ach! özbékistan, kör özüngni.ne erding, emdi ne boldung, qarap baq, qachan bir yerde bolghan jüp bilen taq. Perishtige yéqin bolghay musulman, eger din bolsa, bu hökümi qur’an. Bil we saqla diningni hey musulman, bundin juda bolghan’gha ming pushayman. Saghuniy ata qildi bundaq nesihet ejep emes, kishiler alsa ibret. Eyni waqitta yultuz yayliqi ili wadisi bilen tarim wadisini tutashturidighan muhim karwan ötkelliridin biri bolup, bu jaygha orunlashqan mongghul charwichiliri ikki tereptin ötidighan uyghur sodigerlirini kütüwélish, ulargha yol bashlash we mal-charwa tépip bérish qatarliq ishlar bilen shughullinatti. Elixan törining “türkistan qayghusi” da yézishiche, bu mongghullarning pütün turmushta ishlitidighan buyumliri, göshtin bashqa ozuq-tülükliri ili we tarim wadisidin kélidighan uyghur sodigerliri arqiliq teminlen’gen bolghachqa, ular yoluchilarning bixeterlikini qoghdash hem ularni saq-salamet dawanlardin ötküzüp qoyushqa kapaletlik qilatti. Ghuljidiki shéng shisey saqchilirining qolgha élishidin qorup qéchip chiqqan elixan töre özi tenha halda tengri taghlirining étekliridiki yaylaq we dawanlarda jenubqa ötidighan yol izdep, köp azap cheksimu, biraq allahqa bolghan ishenchisini yoqatmay, da’im allahni yad étip, allahtin nijatliq tileydu shuningdek axirida uyghur sodigerlirige yoluqup, ularning qizghin kütüwélishi we yardem bérishige muyesser bolidu. Elixan törining bayan qilishiche, ular tengri taghlirining jenubiy étigige ötkende kuchargha yéqin jaydiki seksen kéchik we qirghiz ashow dégen jaylargha yétip kélip, dem alidu. Bu jayda eyni waqitta yette sheher dölitini berpa qilip, pütün qeshqeriyini 14 yil musteqil idare qilghan yaqup beg hakimiyitining chégra qorghanlirining xarabiliri saqlinip qalghan idi. Mezkur ikki- üch yüz kishige jay bolghidek chong qorghan xarabisi eyni waqitta yoluchilarning chüshidighan ötüngige aylan’ghan iken. Uning yézishiche, qorghanning peshtaqliri, tamliri we bashqa qalduqliridin uning eyni waqitta nahayiti heywetlik he xéli yuqiri binakarliq mahariti bilen yasalghanliqini körüwélishqa bolidiken. Hés qilish bilen qorghan tupraqlirini közige sürtüp , weten yolida öz janliridin ayrilghan ezimetlerge bolghan hörmitini we séghinishini ipade qilip, du’a qilidu. Elixan töre saghuniy eyni waqitta shunche qudret tépip, düshmenlirini qoghlap chiqirip, öz-özige xoja bolghan bu hakimiyetning yaqup begning ene shundaq xatasi tüpeylidin qaytidin düshmen teripidin axirlashturulup, wetenning qaytidin mustemlikilikke, xelqning qaytidin qul qilinish teqdirige duchar bolghanliqigha échinsimu, emma azadliq yolidin qetiy ümid üzmeslikni tekitlep, wesiyet teriqiside béyitliri bilen bayan qilidu. Sabiq sherqiy türkistan jumhuriyitining re’is jumhuri elixan töre özining “türkistan qayghusi” namliq kitabining axirini kucharda qolgha élinip, aqsu türmisige yötkilishi jeryani bilen tügitidu. Elixan töre saghuniy 1937- yilining axirilirida kucharda qolgha élin’ghandin kéyin, bir mezgil kuchar türmiside tutup turilidu hemde qattiq qiyin-qistaqlargha élinidu. Elixan töre saqchilargha özining kuchargha kélishidiki seweblerni chüshendürüp, özining téwip ikenlikini, xotenge hindistanning dorilirini sétiwélish üchün mangghanliqini éytidu. Biraq, shéng shiseyning saqchi da’irilirining qollirida elixan torining matériyalliri toluq bolghanliqi üchün, ular uni aqsudiki bash saqchi orginigha ewetidu. Elixan töre kitabida bayan qilishiche, uni ikki uyghur we bir qirghiz saqchi bashliqi aqsugha yalap élip baridu, yol üstide uning bilen birge élip méngilghan turaxun isimlik uyghur elixan torige qéchip kétish teklipini bergen bolsimu, emma u weziyetning nahayiti xeterlik ikenlikini mölcherlep, tewekkül qilishqa qoshulmaydu. Elixan töre özining aqsu türmisige qamalghan waqtining 1938-yilining awghust ayliri ikenlikini éytidu. Uning bayan qilishiche, 1937- yilidin bashlap, 1938- 1939- yilliri shéng shiseyning sowét ittipaqining himayisi astida xelq üstidin eng dehshetlik terror élip barghan waqitliri bolup, bu chaghda jemiyetning hemme tebiqisidiki, her xil idiyidiki ademler türkümlep qolgha élin’ghan. Elixan torining yézishiche, uning bilen aqsu türmiside yatqanlarning ichide, qazi, mufti-elem axunlardin bashlap, imam axun, mezin axun qatarliq diniy sahening ademliri hemde hökümet üchün ishligen shangyo, beg, yurt aqsaqili qatarliqlarmu bar idi. Elixan töre bularning hemmisini héch ishtin xewiri yoq qara -qosaq ademler idi dep teripleydu. Elixan töre aqsu türmisige qamalghan waqitta shéng shisey pütün uyghur diyari boyiche qolgha élish we öltürüshni bashlighan bolup, bu qirghinchiliqta xoja niyaz hajim, sabit damolla qatarliq sherqiy türkistan jumhuriyitini qurushqa qatnashqanlarning hemmisi dégüdek öltürüldi. Hetta shéng shisey bilen birliship, uning hökümiti üchün xizmet qilghanlarmu saq qalmidi. Shéng shiseyning qolida eyni waqitta 100 mingdin artuq ademning öltürülgenliki heqqide uchurlar bar bolsimu, emma bu sanning bu melumattin xélila köp bolushi mölcherlinidu. Sherqiy türkistan jumhuriyitining prézidénti elixan torining “türkistan qayghusi” namliq kitabining axirqi betliri aqsu türmisidiki ishlar bilen axirlishidu. Emma , kitabning axirqi söz qisimda kitabni neshirge teyyarlighan elixan torining newrisi uwayisxan elixan torining néme üchün bu kitabni shu yerde toxtatqanliqini chüshendürüp, elixan torining özining aqsu türmisidin qandaq chiqqanliqi we qandaq qilip, ghuljigha ketkenliki shuningdek milliy inqilabning bashlinishi we jeryani heqqidiki bezi biwaste özi bilidighan ishlarni oghli asilxan torige sözlep bergenlikini emma, uni téxi resmi kitab sheklige keltürüshke ülgürmey, 1976- yili, 29- féwral küni wapat bolghanliqini bayan qilidu. Elixan töre perzentlirige axirqi wesiyet teriqiside ” türkistan qayghusi” ni resmi kitab qilip chiqirip, weten balilirigha yetküzüshni perzentliridin telep qilidu hemde bu kitabning uyghurche, özbékche, qirghizche tillarda neshir qilinip, türkistan perzentlirining uning qaldurghan wesiyetliridin sawaq élishini ümid qilidighanliqi bildüridu. Xelqara Ana Til Bayriminglargha Qutluq Bolsun! Birleshken Döwletler Teshkilatining Maarip-Pen-Medeniyet kommétiti 1999- yili 11- ayda qarar chiqirip, 2000- yilidin étiwaren her yili 2- ayning 21- küni Xelqara Ana Til Küni/Bayrimi (International Mother Language Day) bolidu dep békitken. 2000- yilidin bashlap her yili 2- ayning 21- küni Ana Til Bayrimi qilip tebriklenmekte. Bu bayram künide, dunyadiki herqaysi milletlerde ana tilni qandaq qoghdash, ana tilning rolini we muhimliqini qandaq chüshinish toghrisida keng pikr yürgüzülidu, ana tilning qedir-qimmitini keng türde teshwiq qilip yighinlar ötküzülidu. Öz ana tilining dölet ichi we dunyadiki ornidin cheksiz pexrlen’gen Uyghurlar, bu mubarek bayram üchün her xil shekllerde tebiriklesh paaliyetlirini élip baridu.